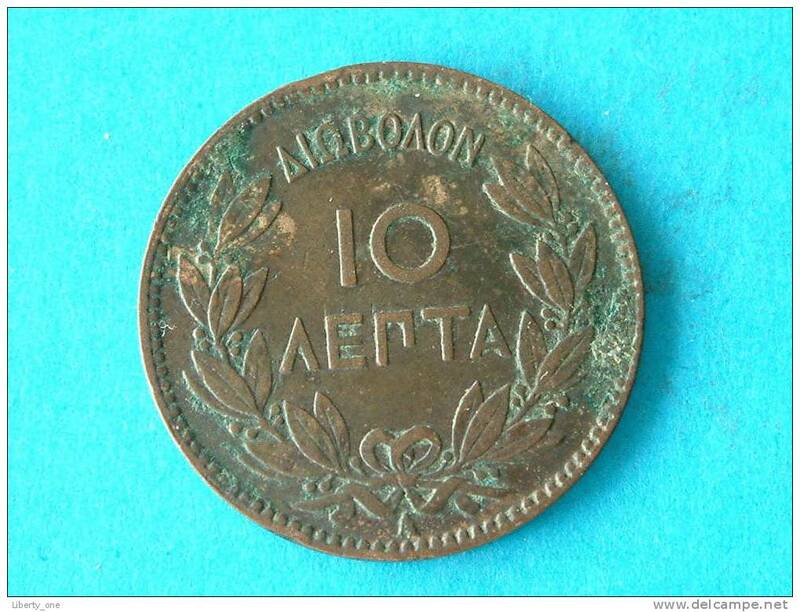 1894 A - 10 Lepta ( KM 59 ) Uncleaned ! 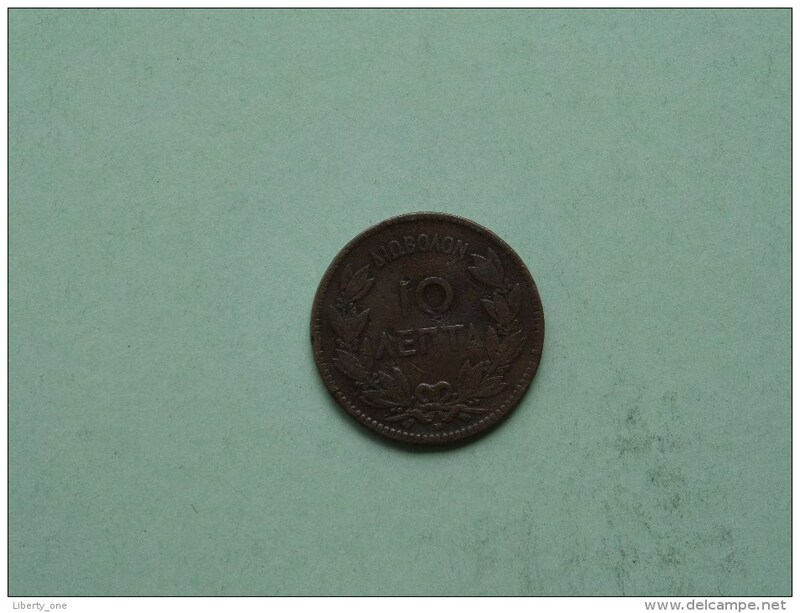 1882 A - 10 LEPTA ( KM 55 ) Uncleaned ! 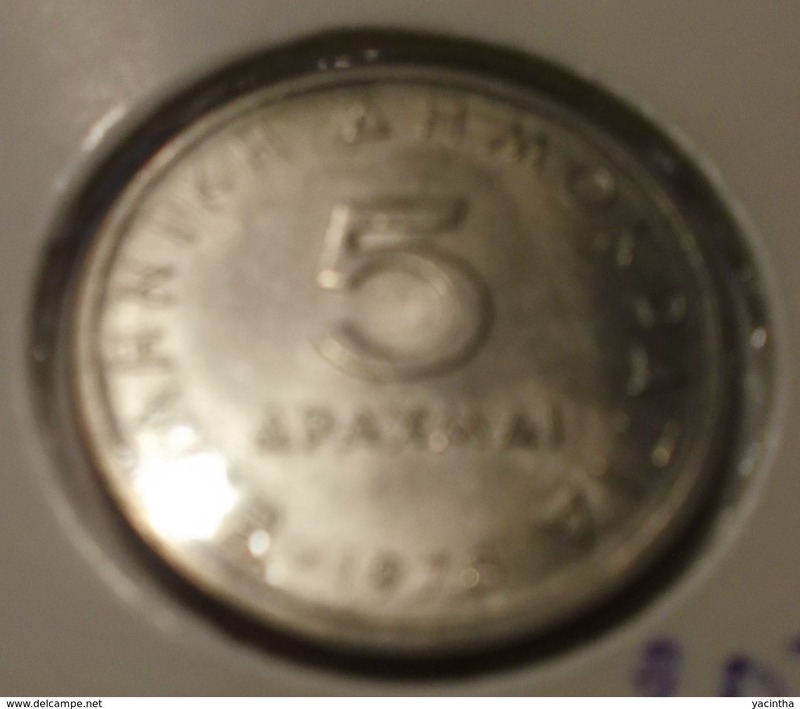 1930 - 5 Drachmai / KM 71.1 ( uncleaned coin / for Grade, please see photo / Scans ) !! 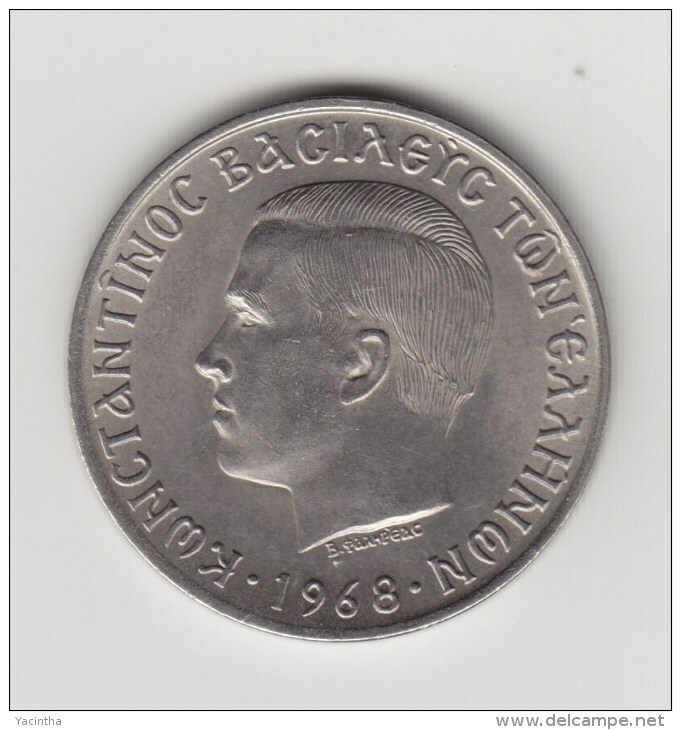 1969 - 20 Lepta / KM 79 ( uncleaned coin / for Grade, please see photo ) !! 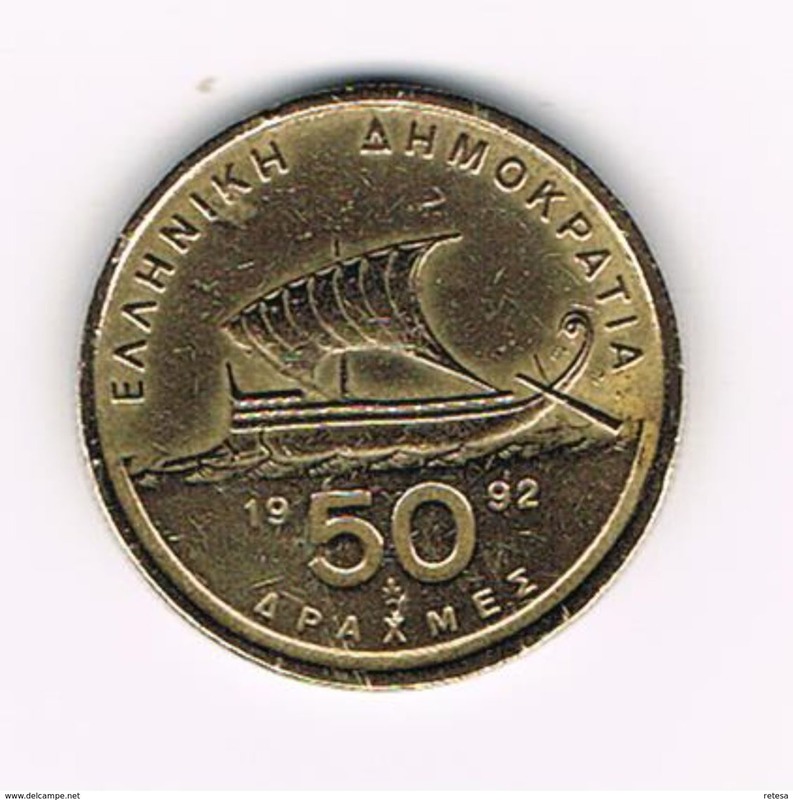 1984 - 50 Drachmes - KM 134 ( for Grade, please see photo ) ! 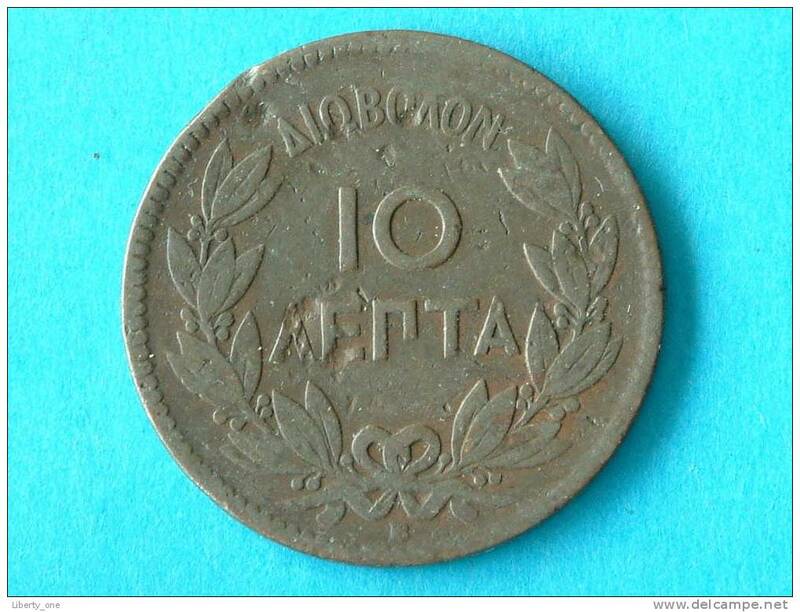 1895 A - 10 Lepta / KM 59 ( Uncleaned coin - for Grade, please see photo ) !! 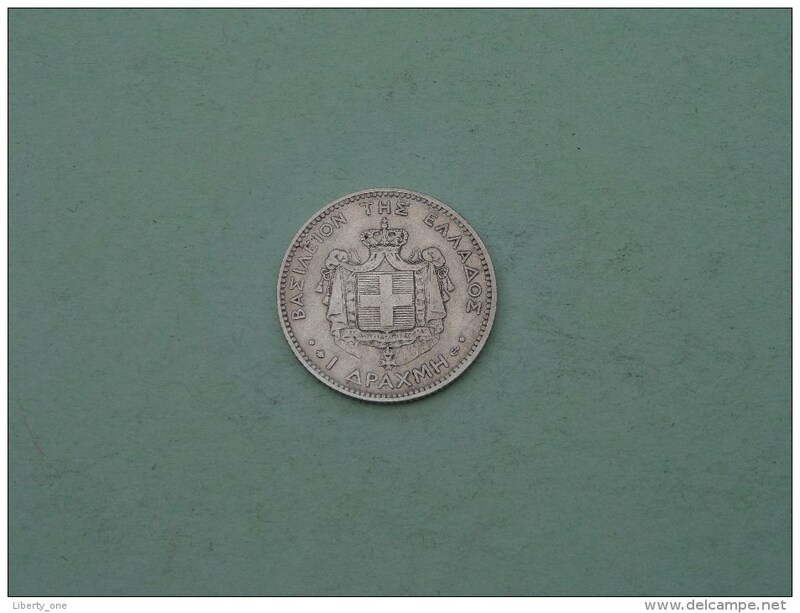 1873 A - 1 Silver Drachma / KM 38 ( uncleaned coin / for Grade, please see photo ) !! 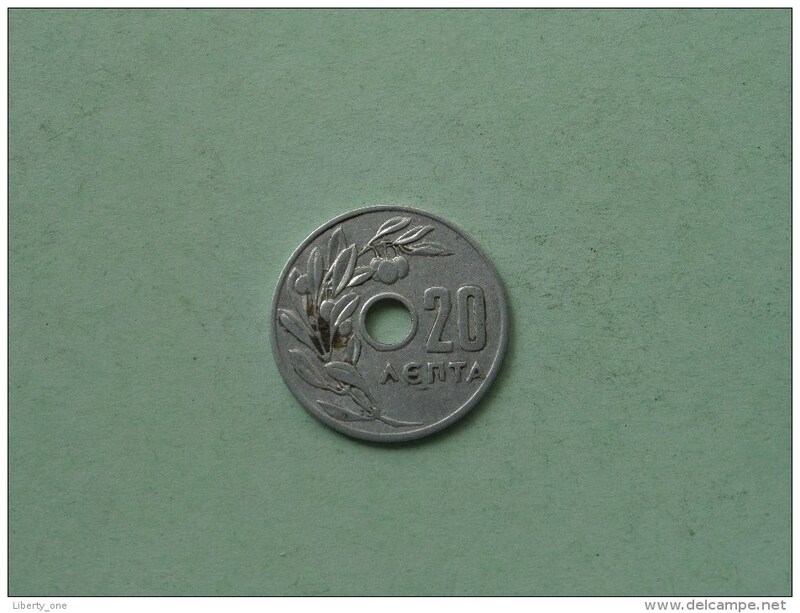 1959 - 20 Lepta / KM 79 ( uncleaned coin / for Grade, please see photo ) !! 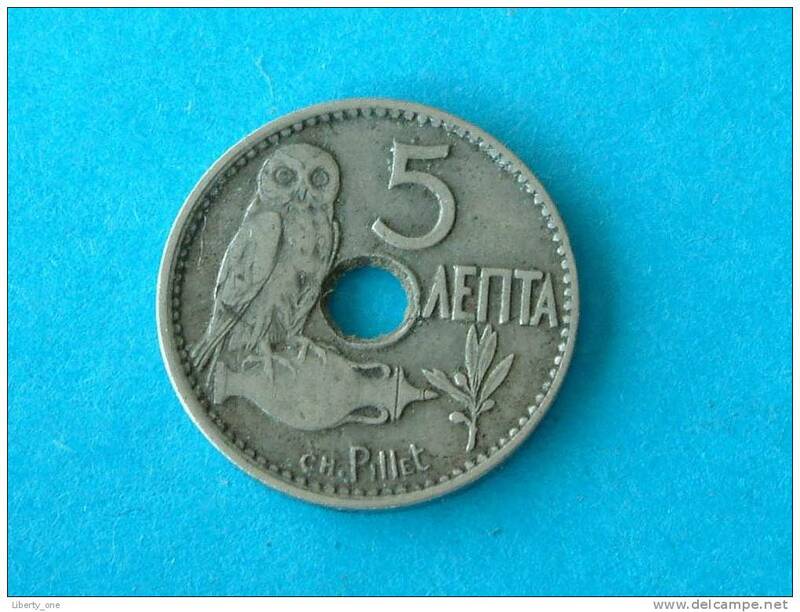 1954 - 10 Lepta / KM 78 ( uncleaned coin / for Grade, please see photo ) !! 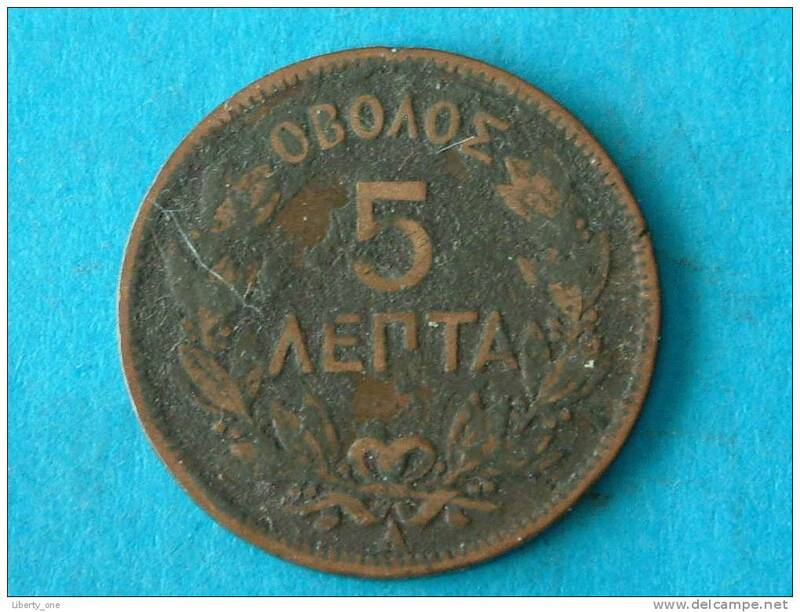 1894 A - 5 Lepta / KM 58 ( uncleaned coin / for Grade, please see photo ) !! 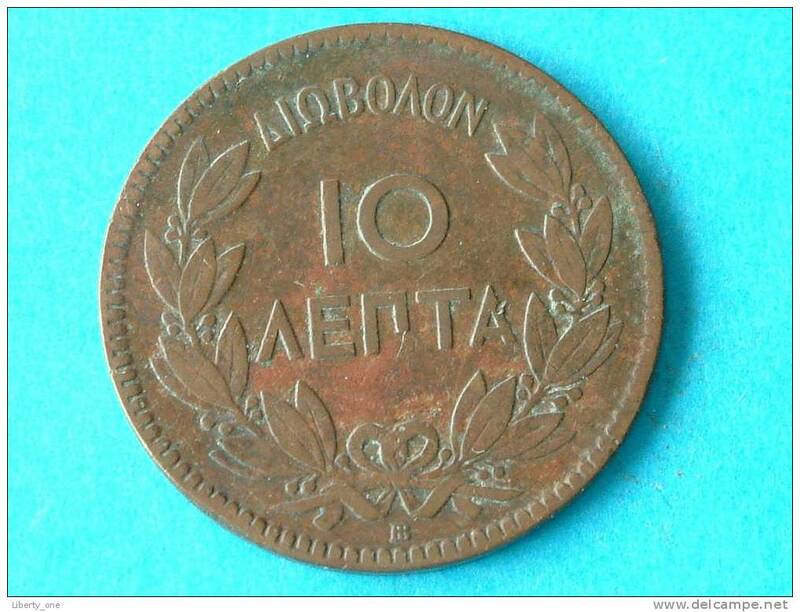 1912 - 20 LEPTA / KM 64 ( for Grade, please see photo ) !! 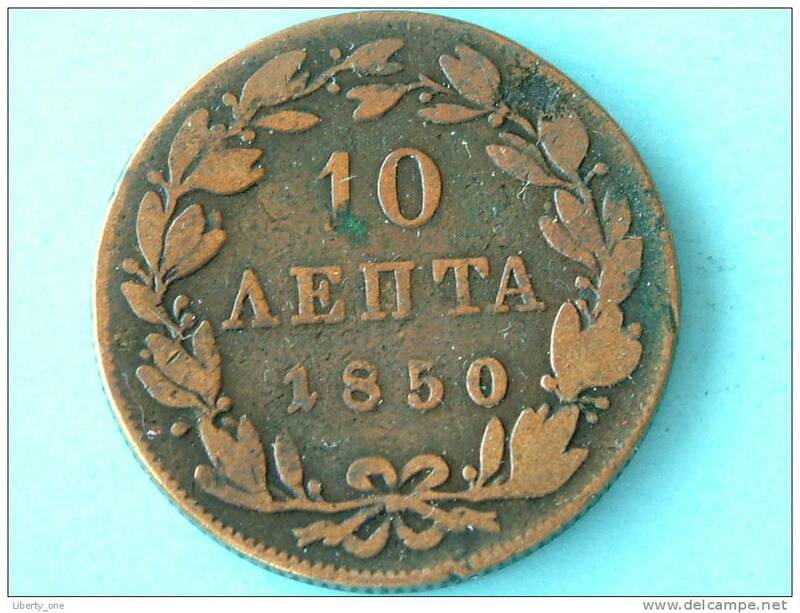 1869 BB - 10 LEPTA / KM 43 ( uncleaned coin / for Grade, please see photo / Scans ) !! 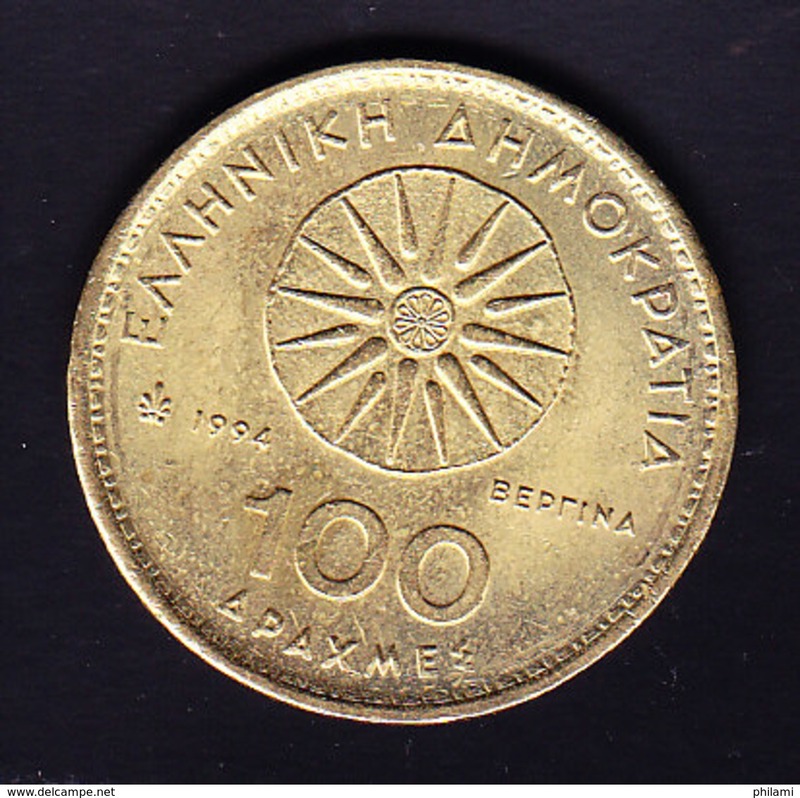 1992 - 100 Drachmes / KM 159 ( uncleaned - for Grade, please see photo ) ! 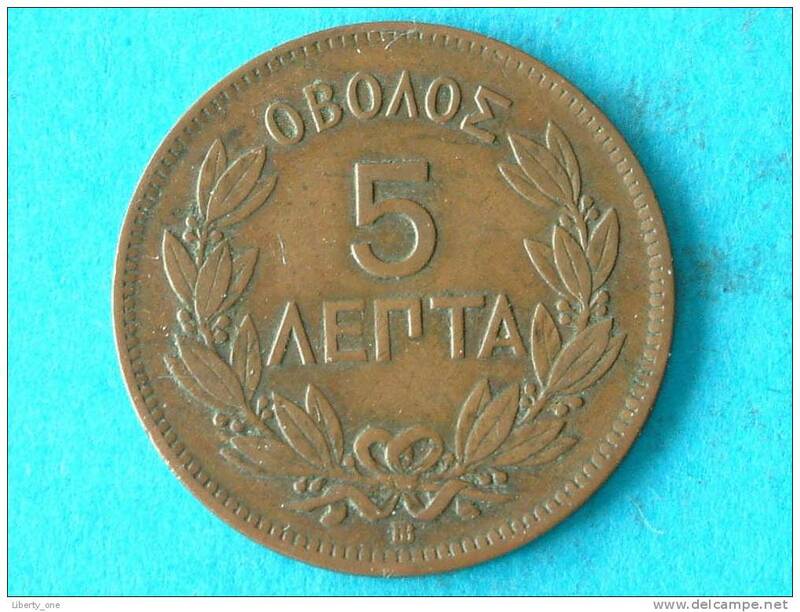 1912 - 5 LEPTA / KM 62 ( uncleaned coin / for Grade, please see photo ) !! 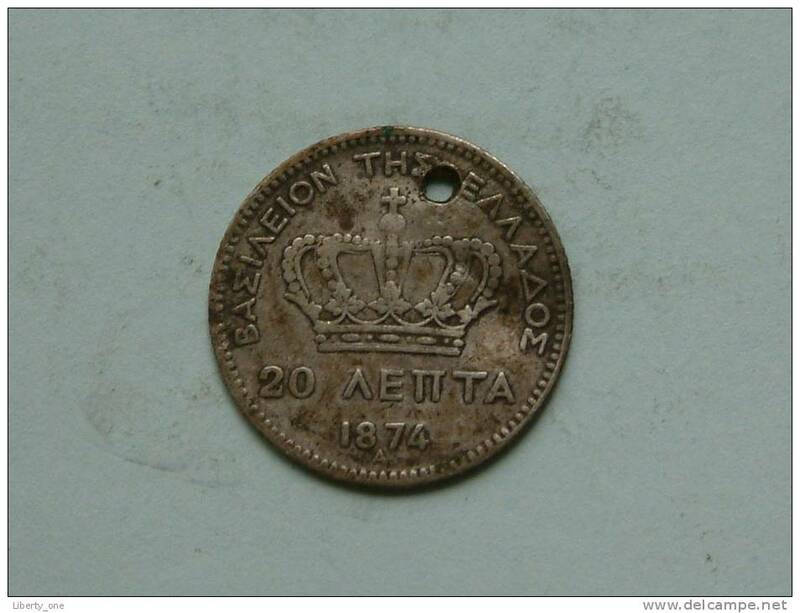 1874 A ( Holed ) - 20 LEPTA / KM 44 ( uncleaned coin / for Grade, please see photo ) !! 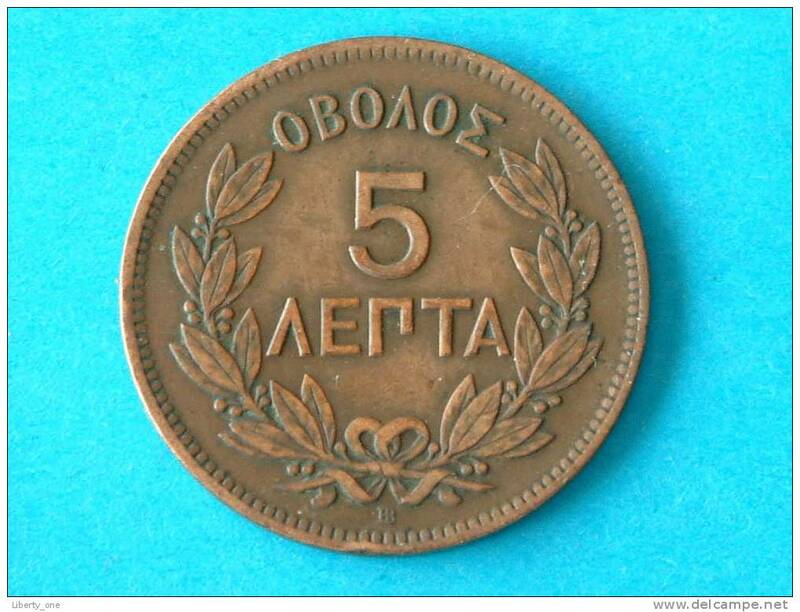 1926 - 50 LEPTA / KM 68 ( uncleaned coin / for Grade, please see photo ) !! 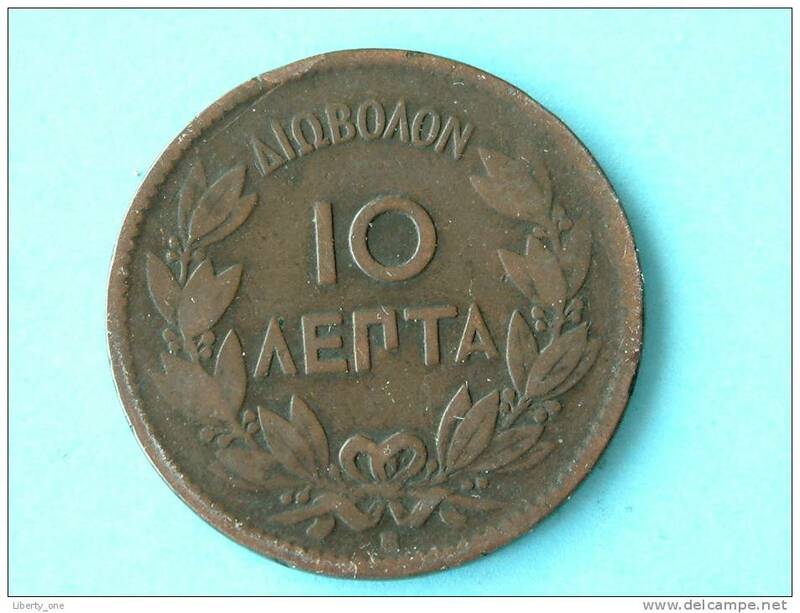 1912 - 10 LEPTA / KM 63 ( uncleaned coin / for Grade, please see photo ) !! 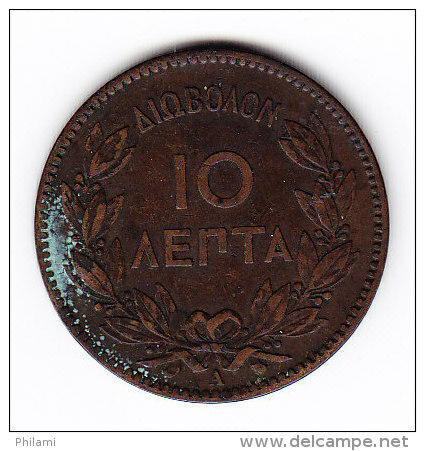 1869 BB - 10 LEPTA / KM 43 ( uncleaned - for Grade, please see photo ) ! 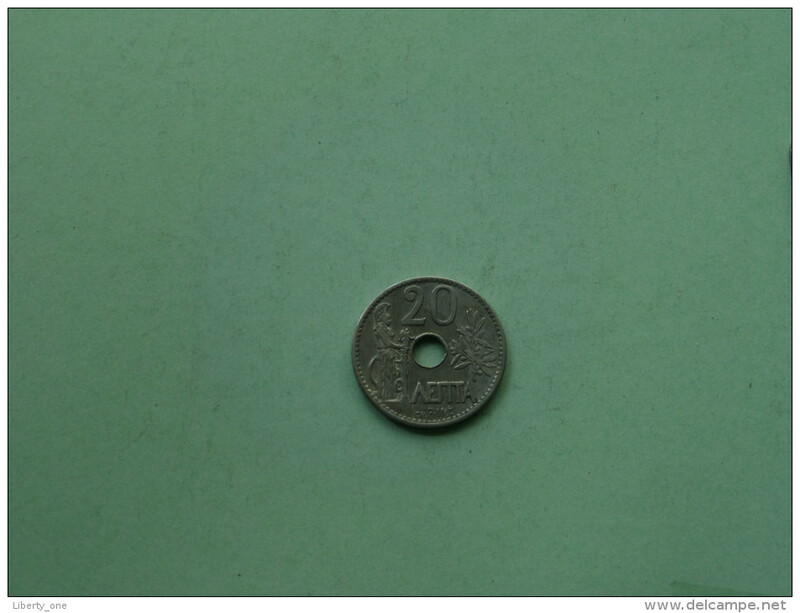 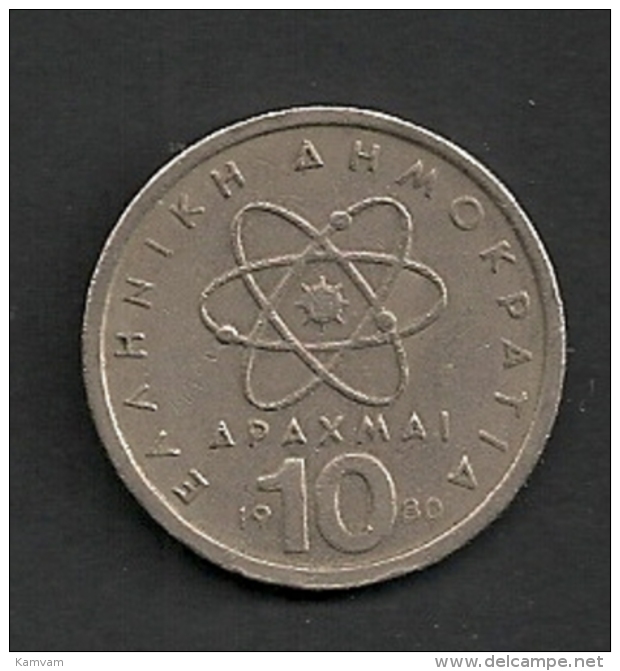 1959 - 10 DRACHMAI - KM 84 ( uncleaned coin - for Grade, please see photo ) ! 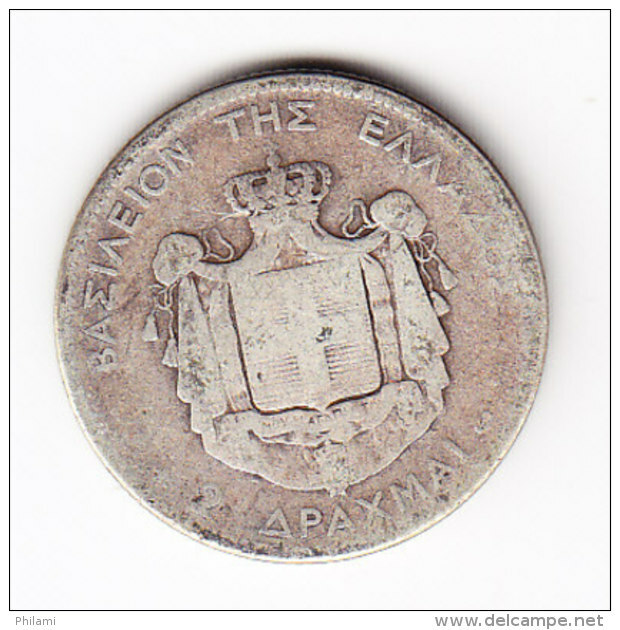 1912 - 20 LEPTA - KM 64 ( uncleaned coin - for Grade, please see photo ) ! 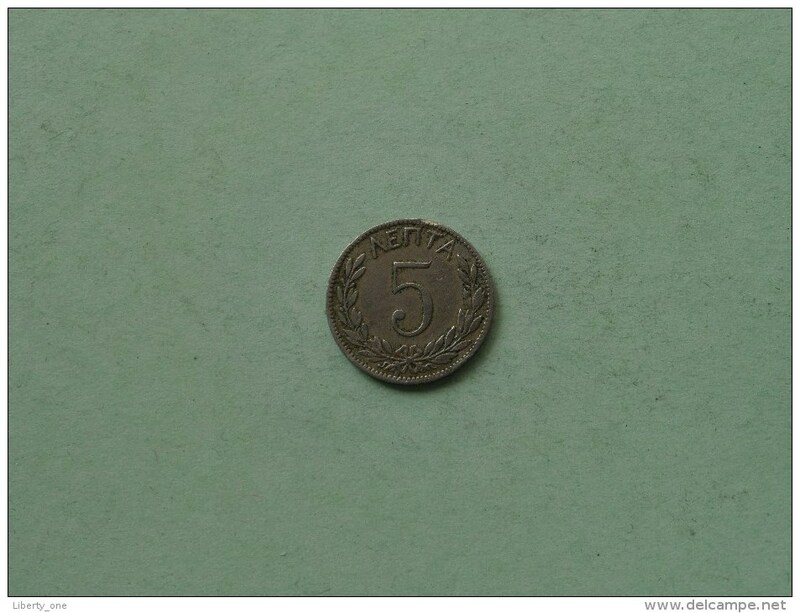 1912 - 5 LEPTA - KM 62 ( uncleaned coin - for Grade, please see photo ) ! 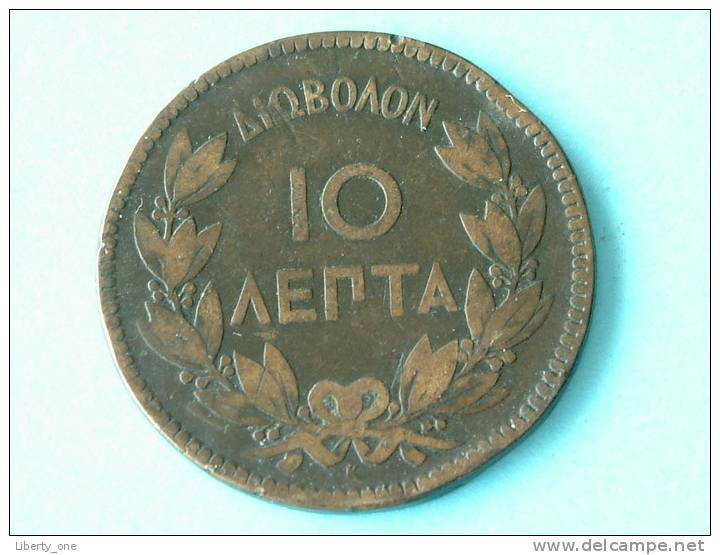 1895 A - 10 LEPTA - KM 59 ( uncleaned coin - for Grade, please see photo ) ! 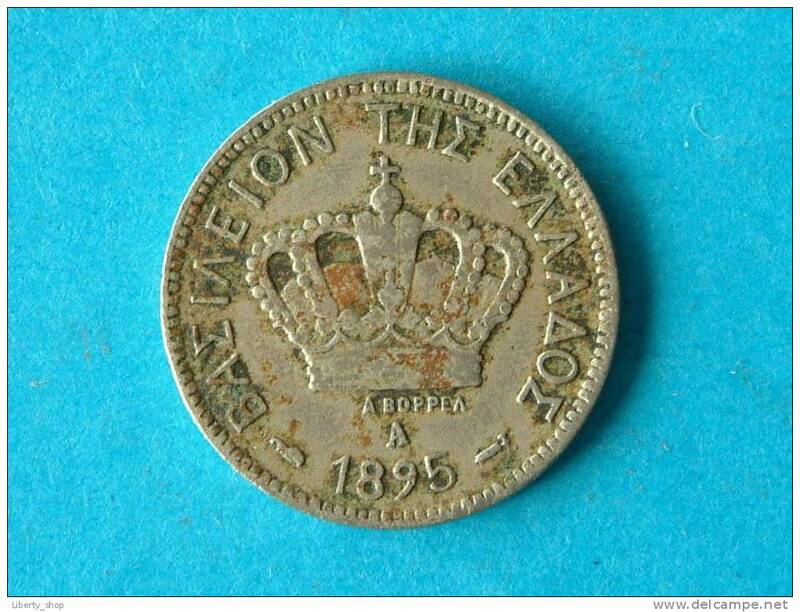 1882 A - 10 LEPTA - KM 55 ( uncleaned coin - for Grade, please see photo ) ! 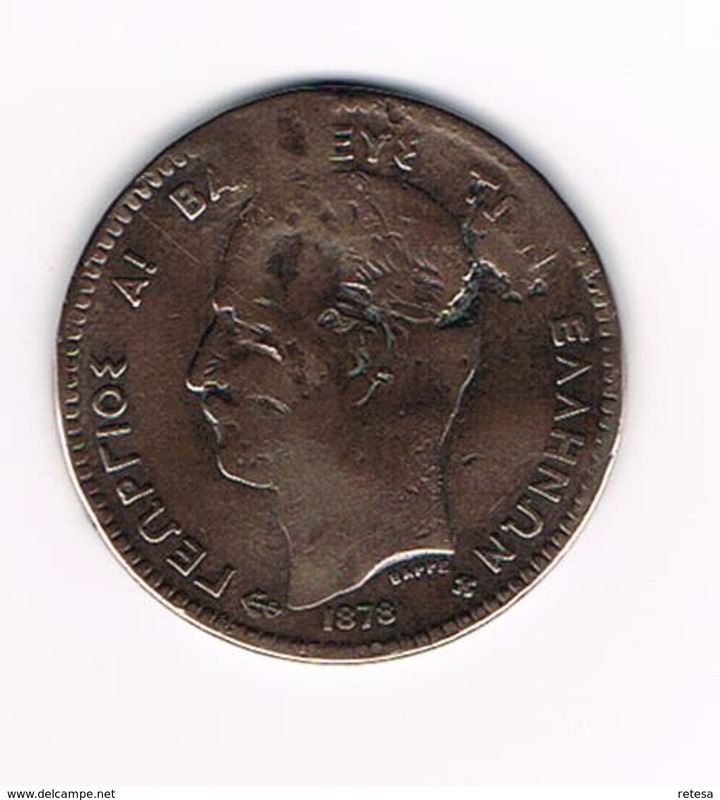 1869 BB - 10 LEPTA - KM 43 ( uncleaned coin - for Grade, please see photo ) ! 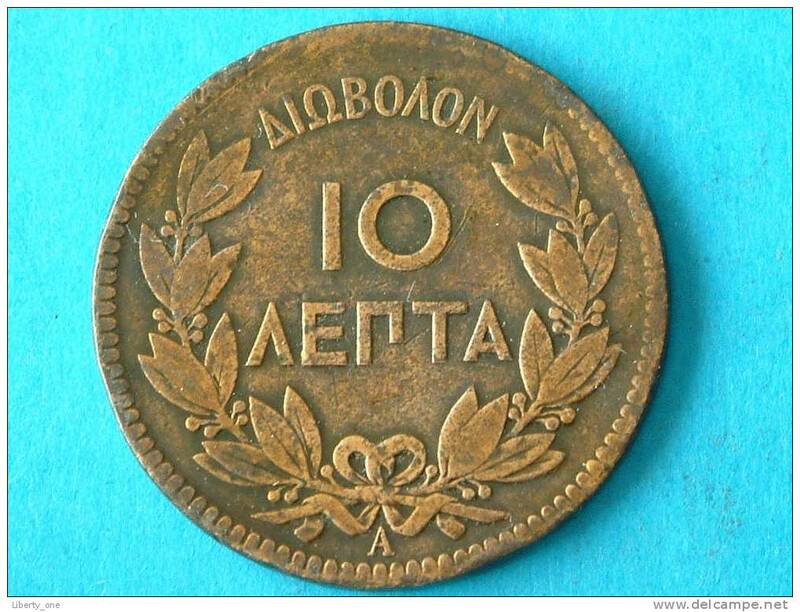 1912 - 5 LEPTA / KM 62 ( for Grade, please see photo ) !! 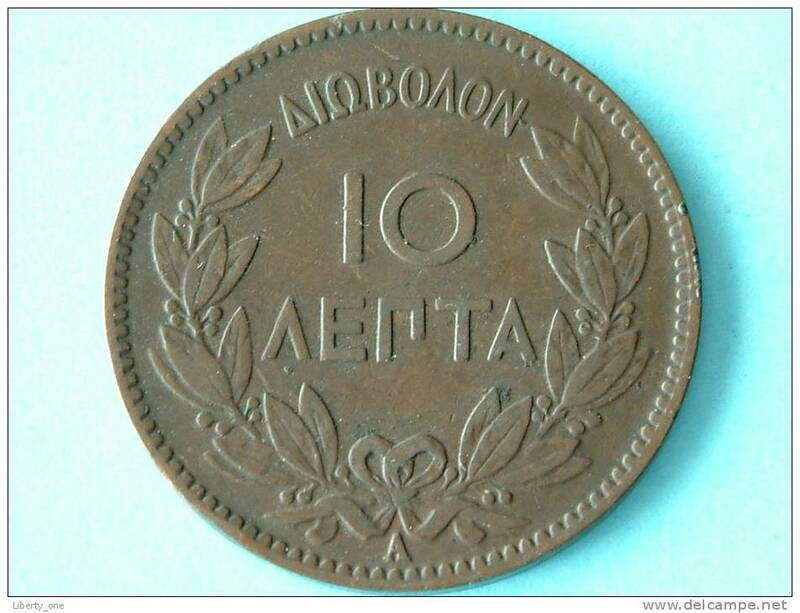 1850 - 10 LEPTA / KM 29 ! 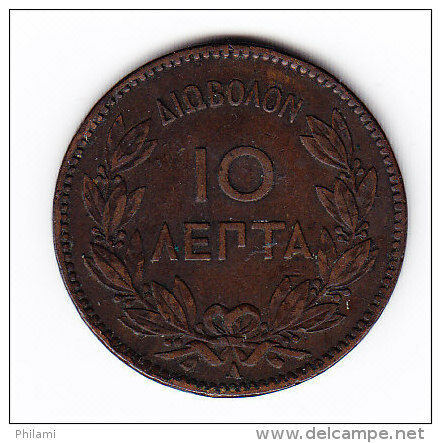 10 LEPTA - 1878 K / KM 55 ( for Grade, please see photo ) ! 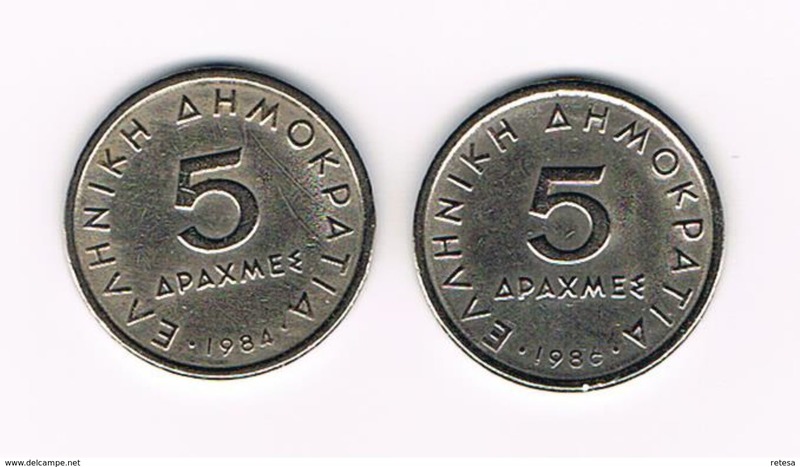 1994 - 50 DRACHMES / KM 164 ( for Grade, please see photo ) !! 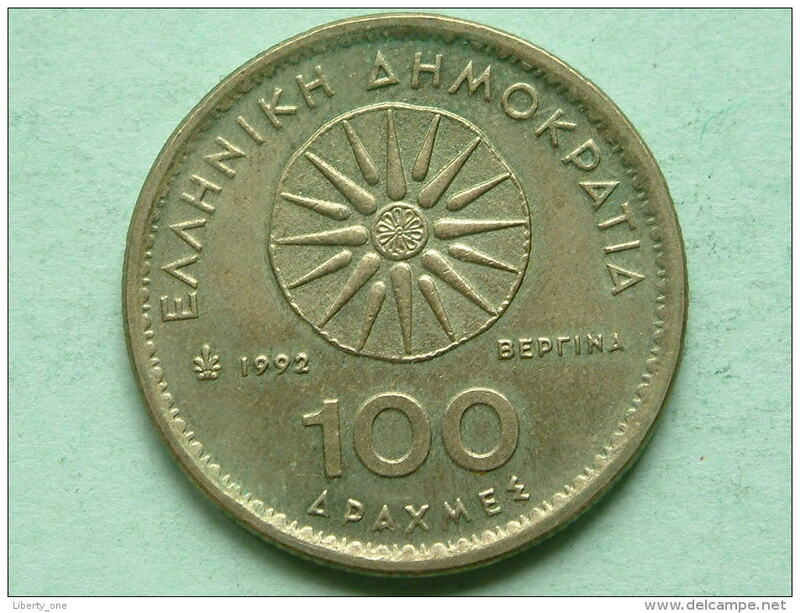 1994 - 50 DRACHMES / KM 168 ( for Grade, please see photo ) !! 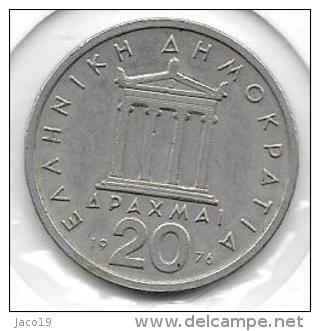 1999 - 100 DRACHMES / KM 173 ( for Grade, please see photo ) !! 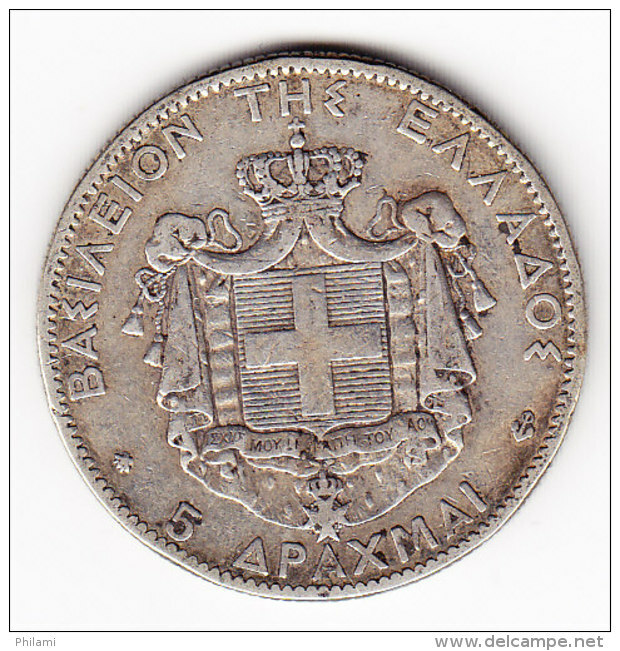 1869 BB - 10 LEPTA / KM 43 ( for Grade, please see photo ) ! 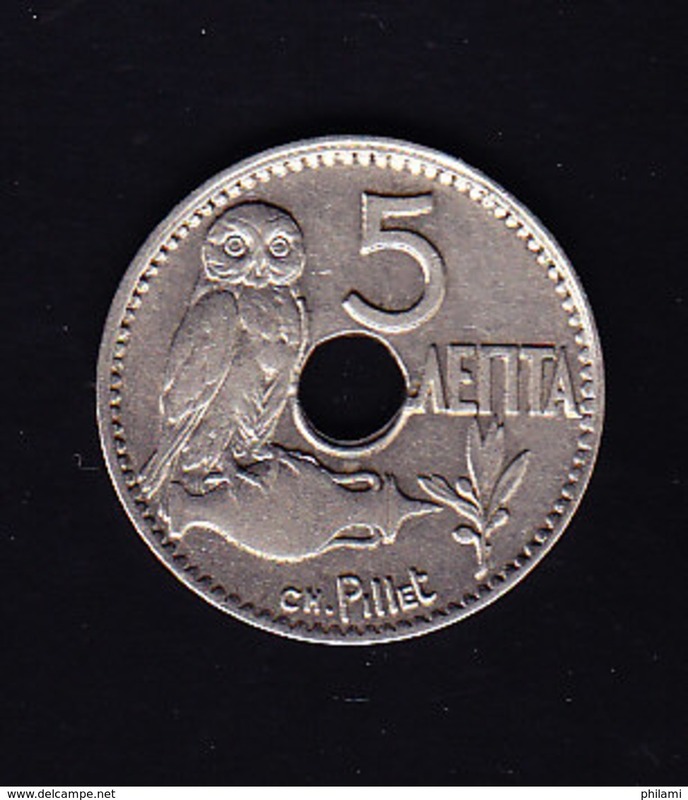 1957 - 50 LEPTA - KM 80 ( for Grade, please see photo ) ! 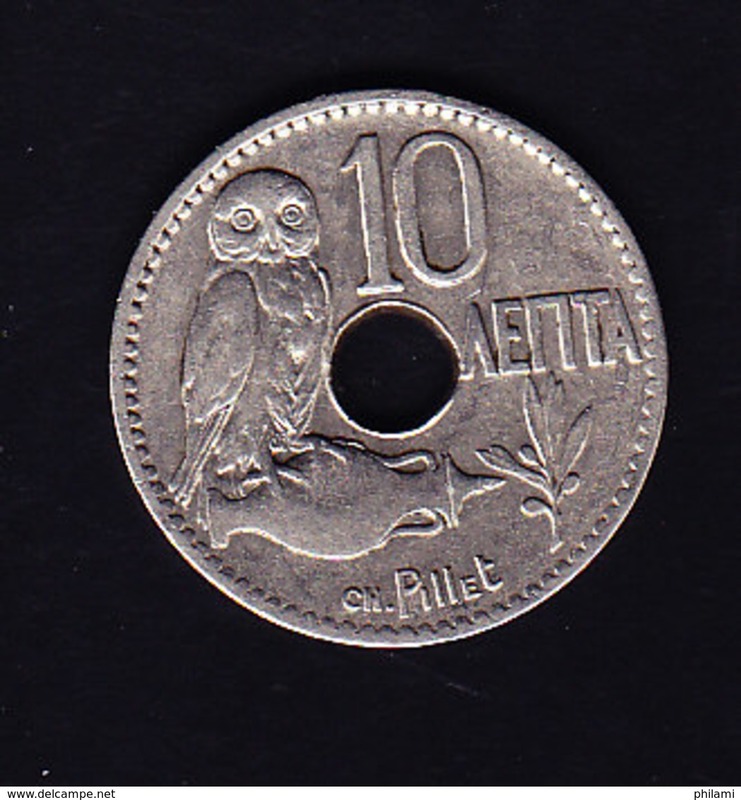 1912 - 10 LEPTA - KM 63 ( for Grade, please see photo ) ! 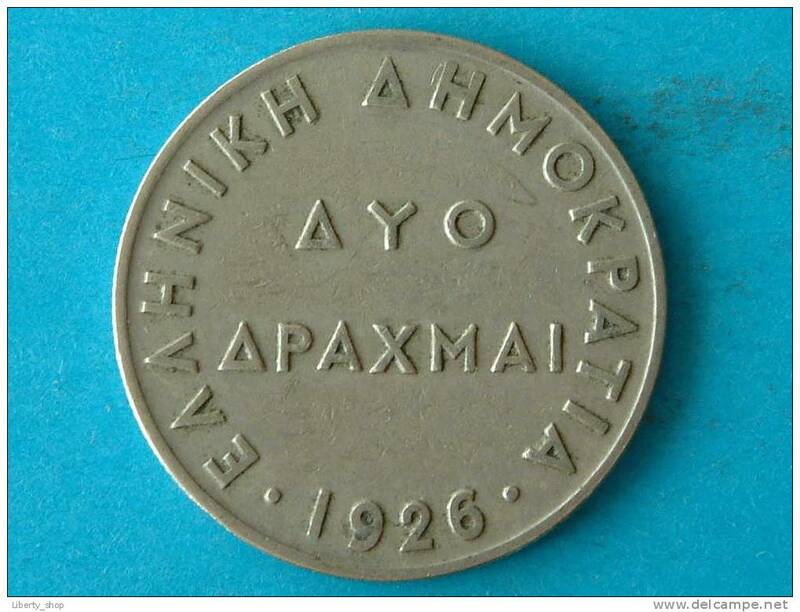 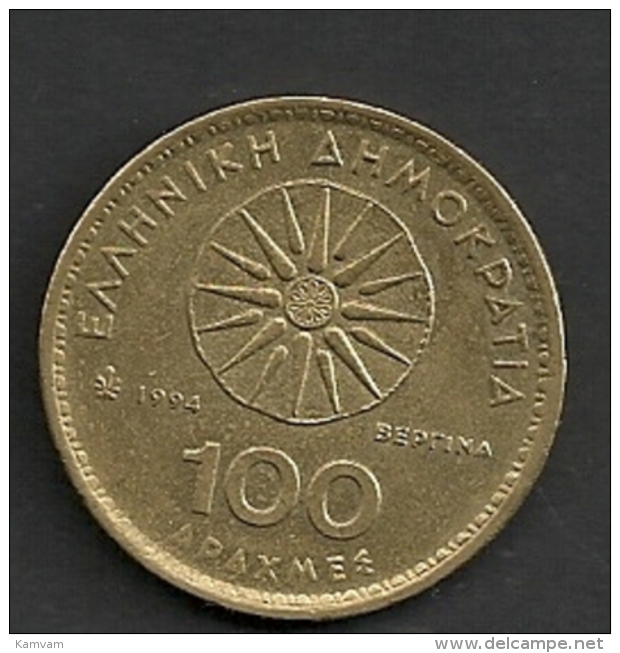 1926 - 2 DRACHMA / KM 70 ( for Grade, please see photo ) !! 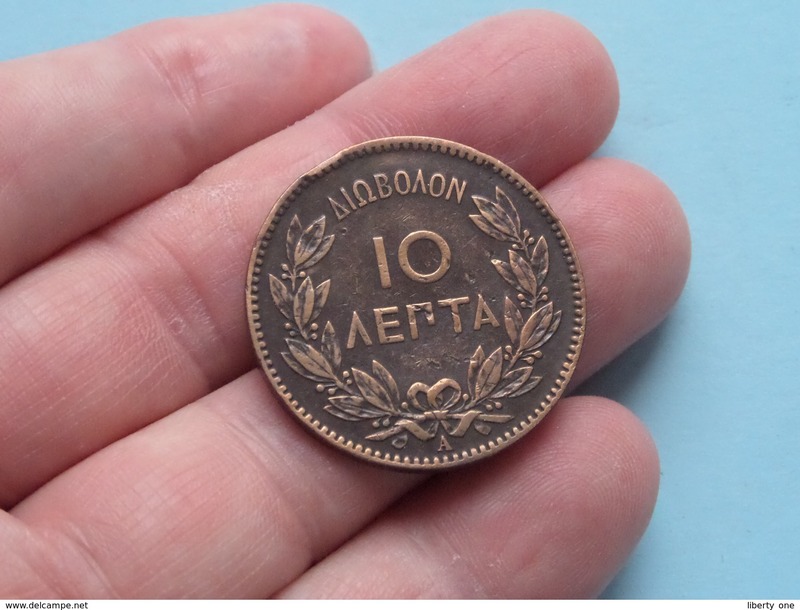 1882 A - 10 LEPTA / KM 55 ( for Grade, please see photo ) !! 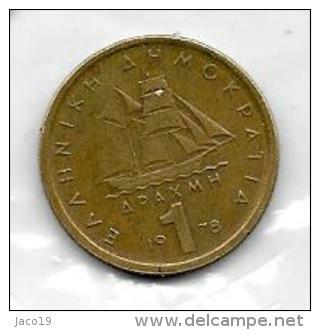 1957 - 1 DRACHMA / KM 81 ( for Grade, please see photo ) !! 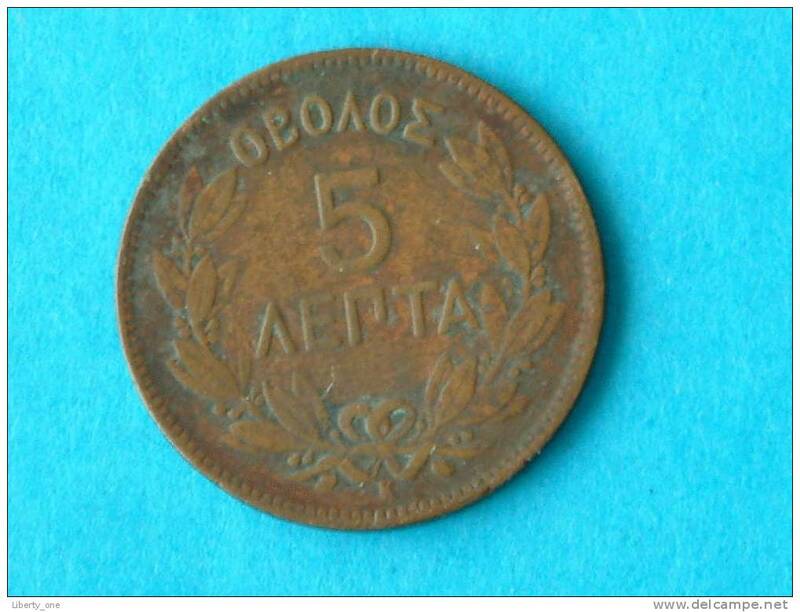 1878 K - 5 LEPTA / KM 54 ( for Grade, please see photo ) ! 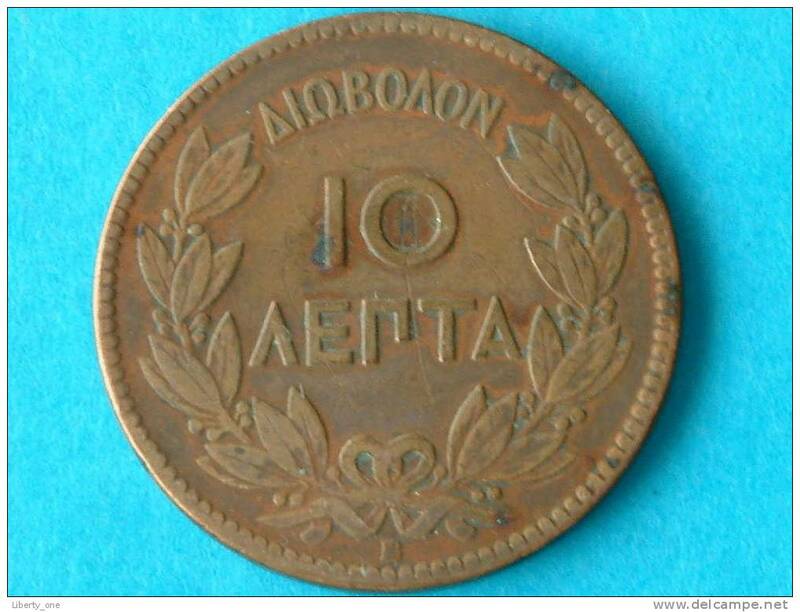 1912 - 10 LEPTA / KM 63 ( for Grade, please see photo ) ! 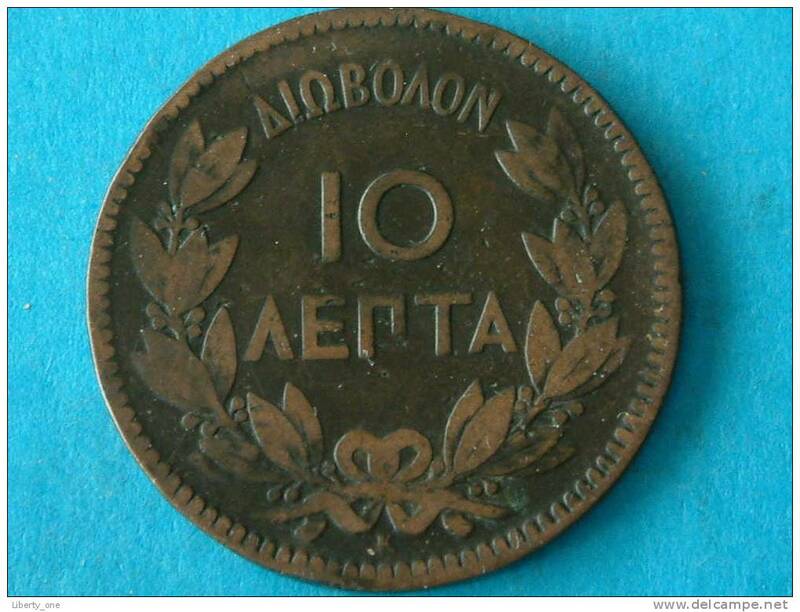 10 LEPTA 1869 / KM 43 - ( for Grade, please see photo ) ! 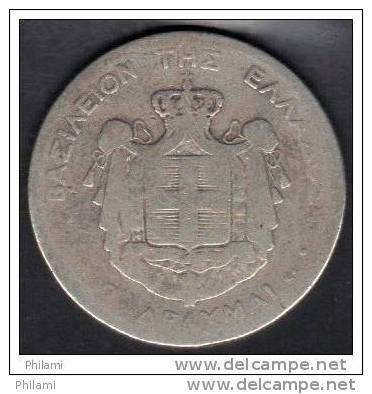 1912 - 5 LEPTA / KM 62 ( for Grade, please see photo ) ! 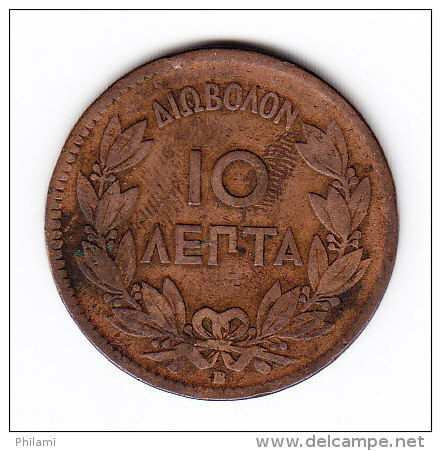 1879 A - 10 LEPTA / KM 55 ( for Grade, please see photo ) ! 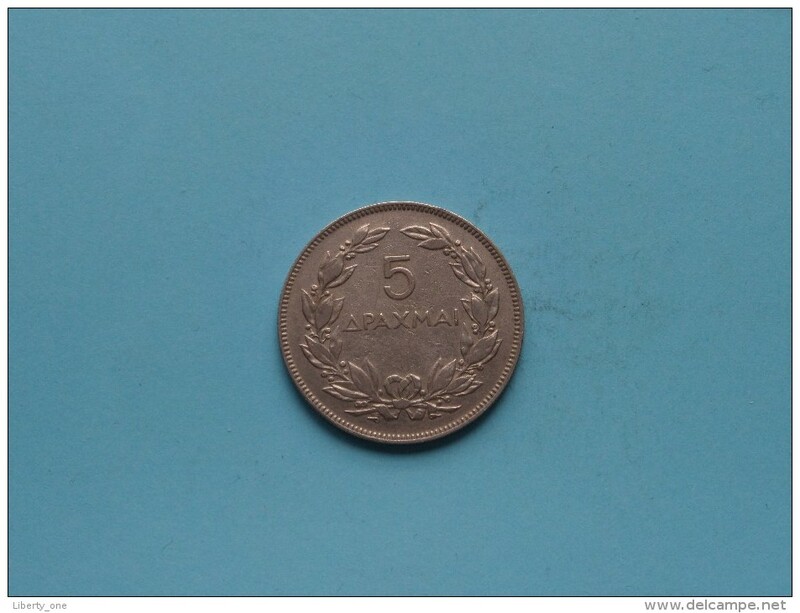 1869 BB - 5 LEPTA / KM 42 ( details zie foto ) ! 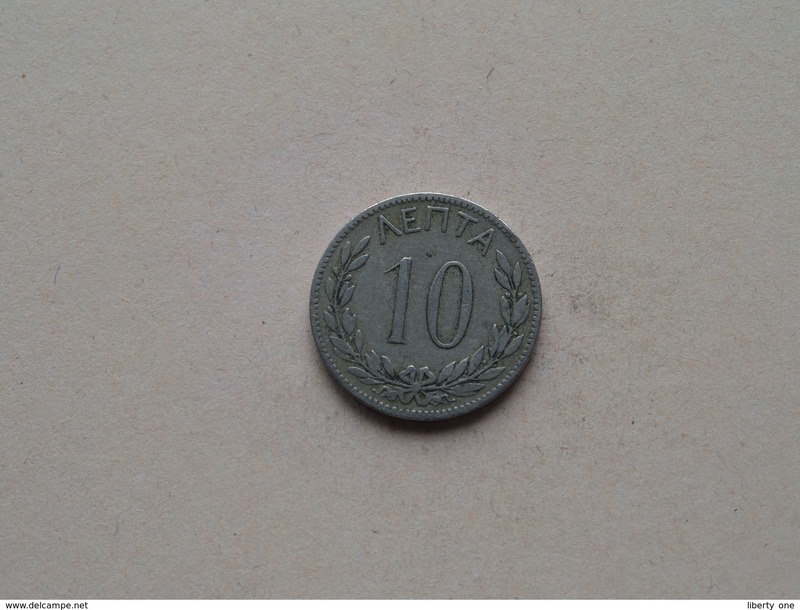 1882 A - 10 LEPTA / KM 55 ( details zie foto ) ! 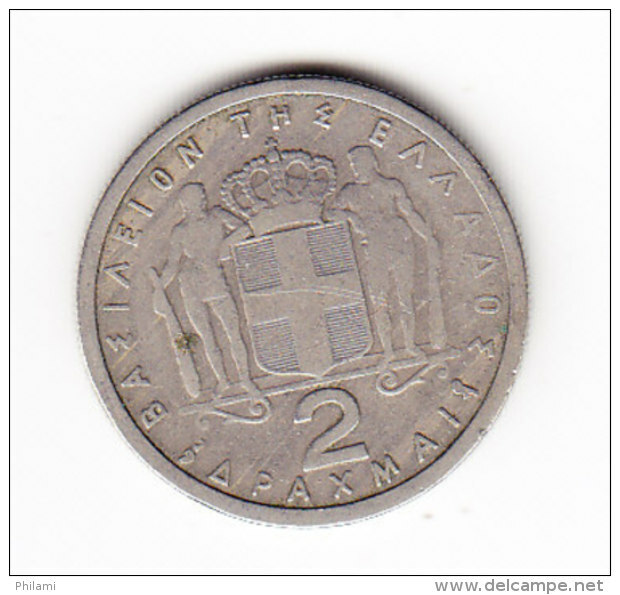 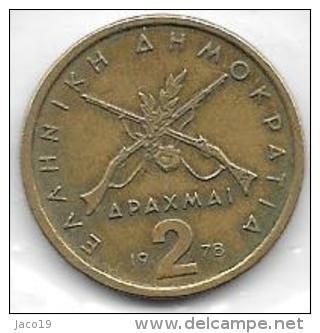 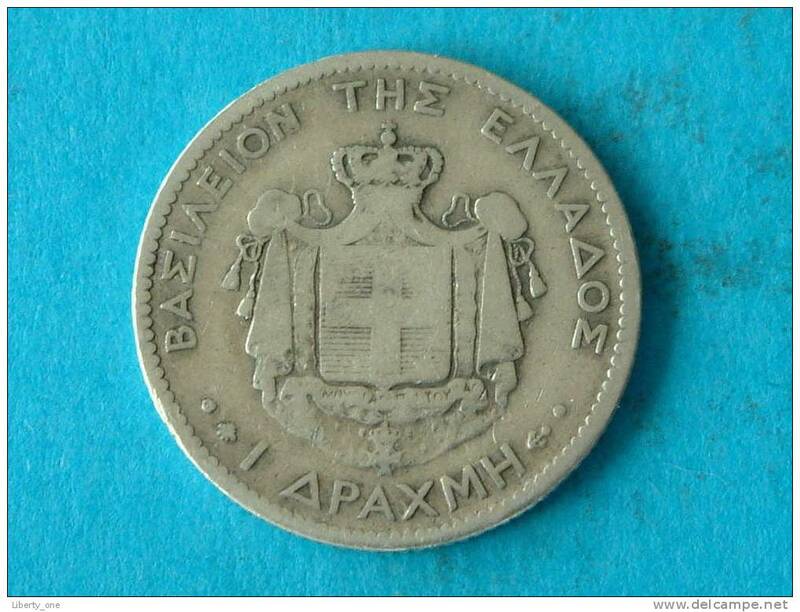 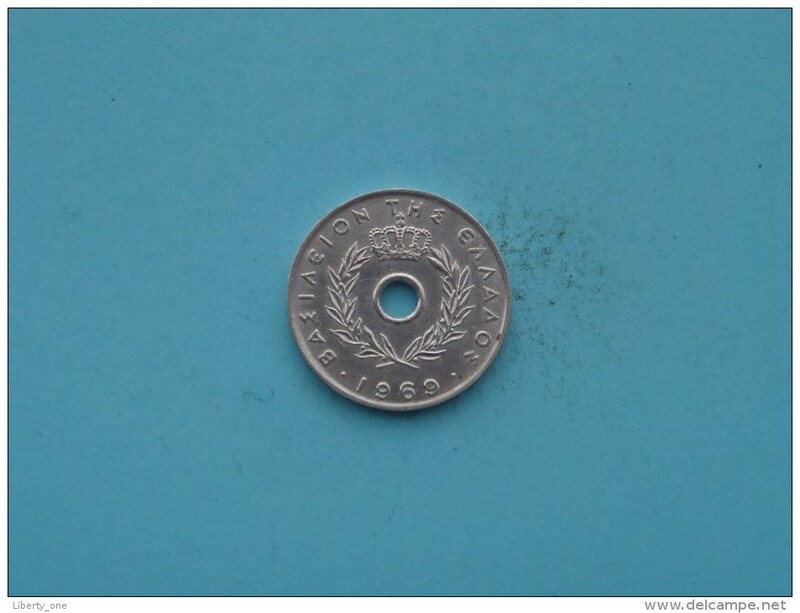 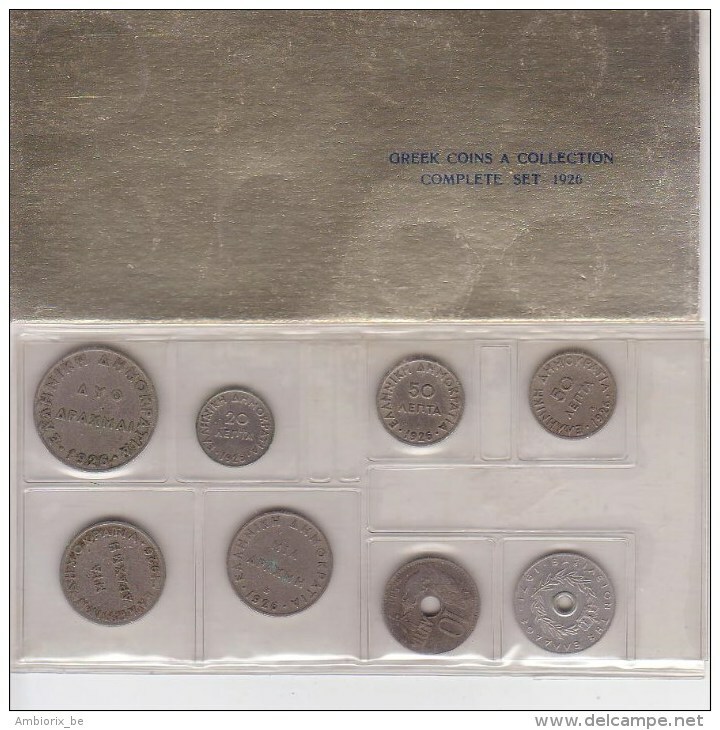 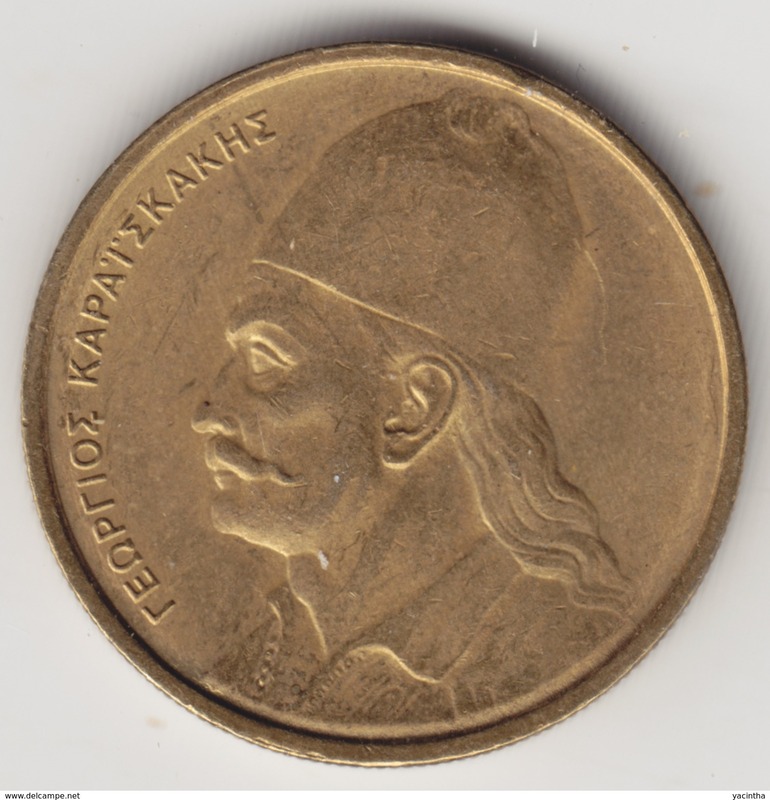 1873 A - 1 DRACHMA / KM 38 ( details zie foto ) ! 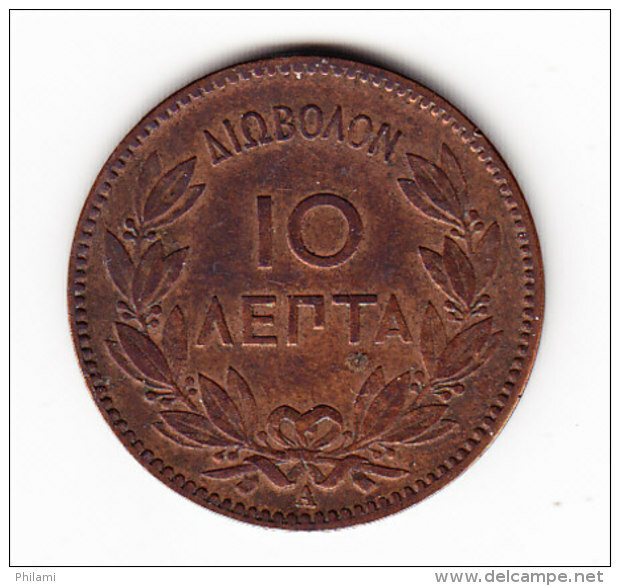 10 LEPTA - 1882 A / KM 55 ( for Grade, please see photo ) ! 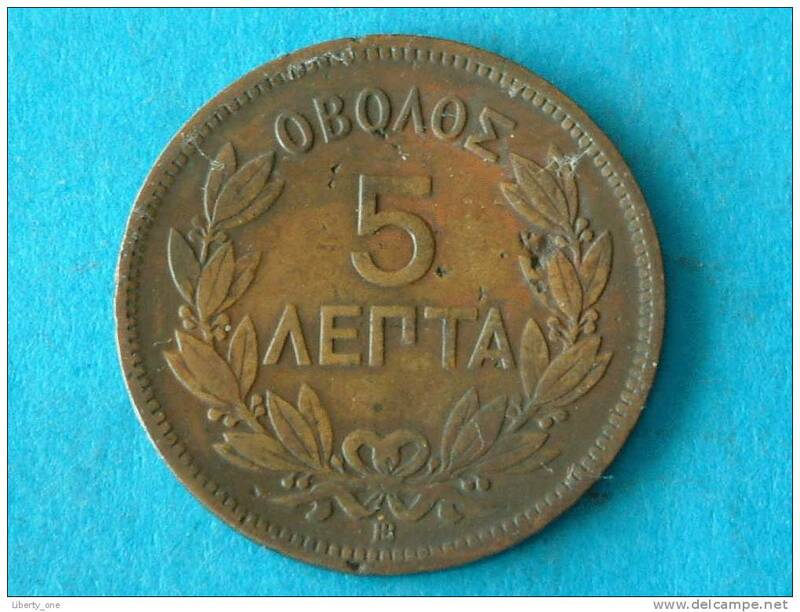 5 LEPTA - 1882 A / KM 54 ( for Grade, please see photo ) ! 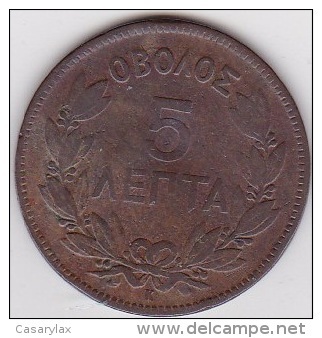 5 LEPTA - 1869 BB / KM 42 ( for Grade, please see photo ) ! 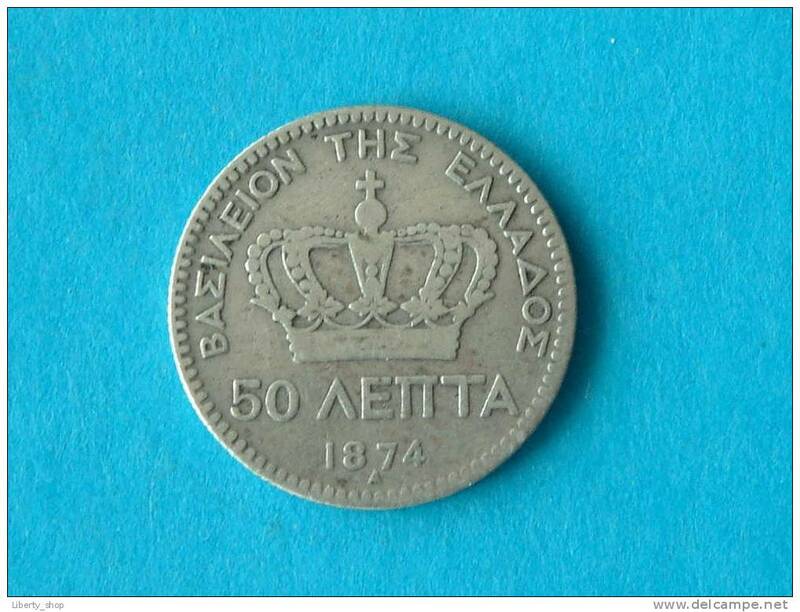 1874 A - 50 LEPTA ( silver ) / KM 37 ( for Grade, please see photo ) ! 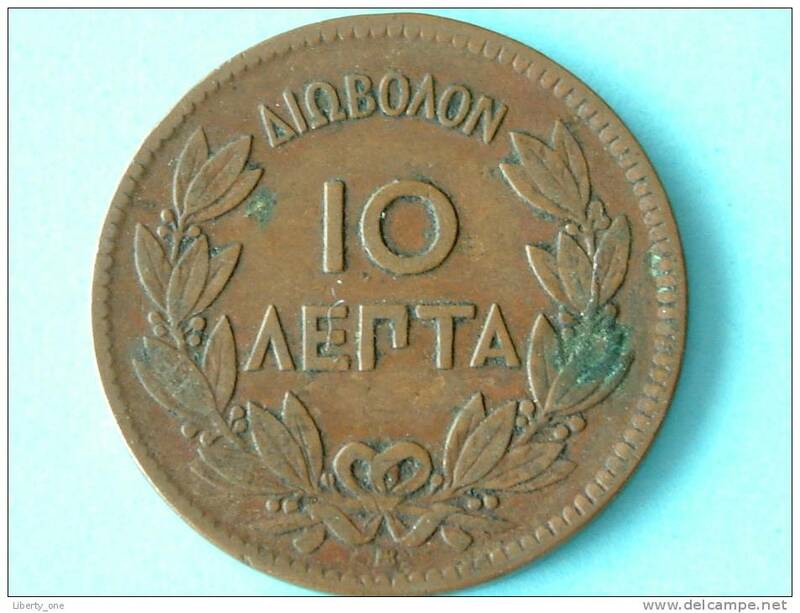 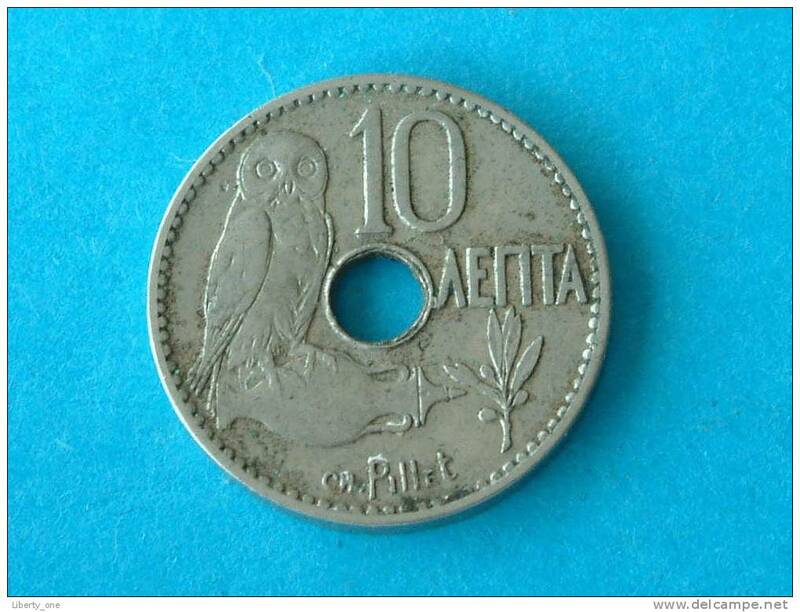 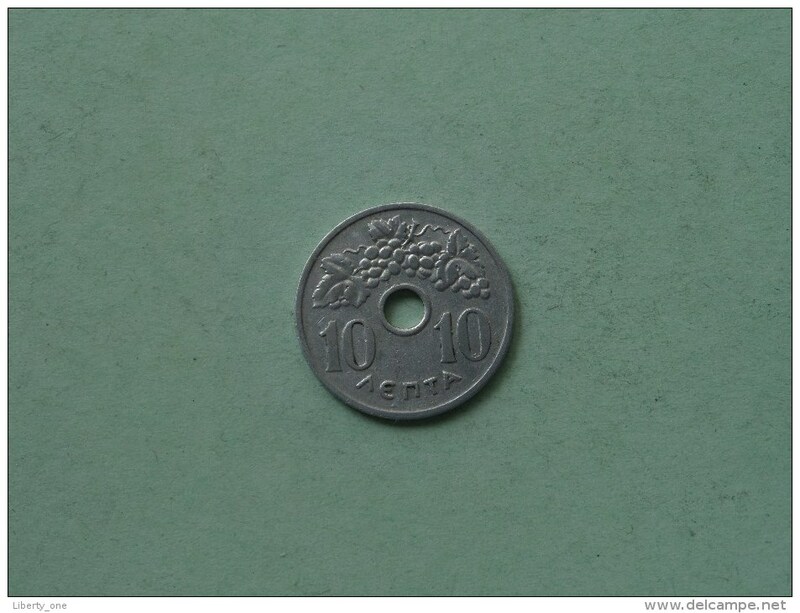 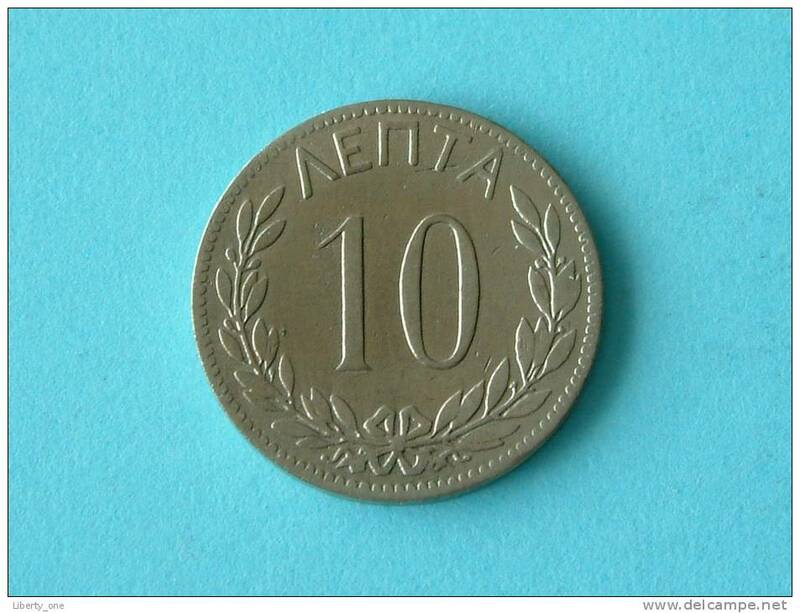 10 LEPTA 1895 A / KM 59 ( for Grade, please see photo ) ! 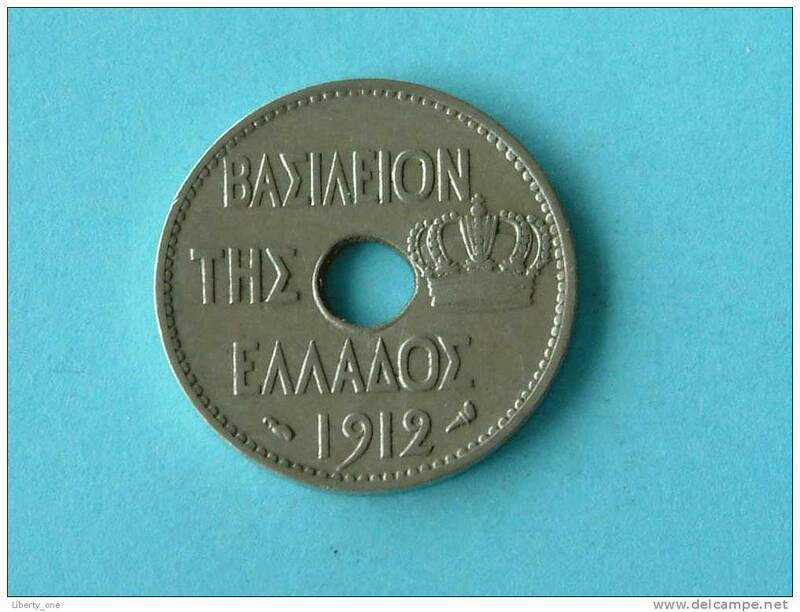 2 DRACHMAI 1926 XF / KM 70 ! 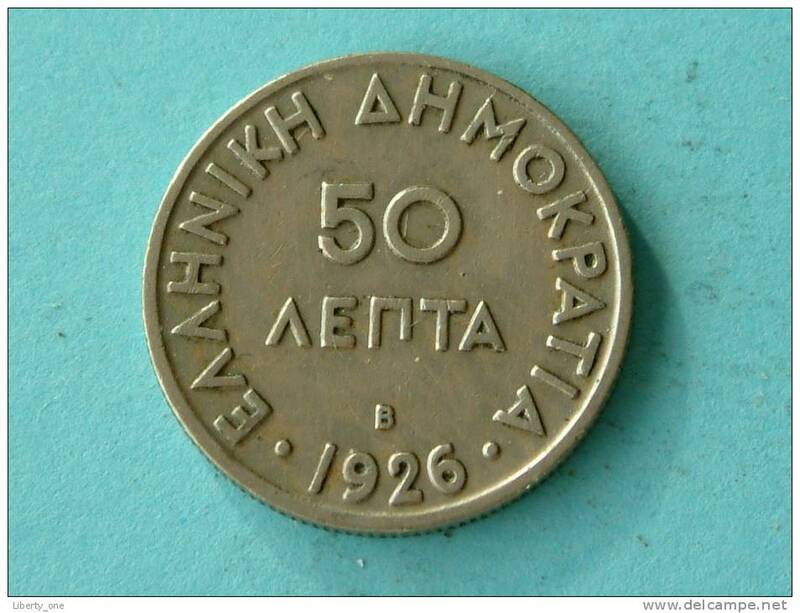 Griekenland ? 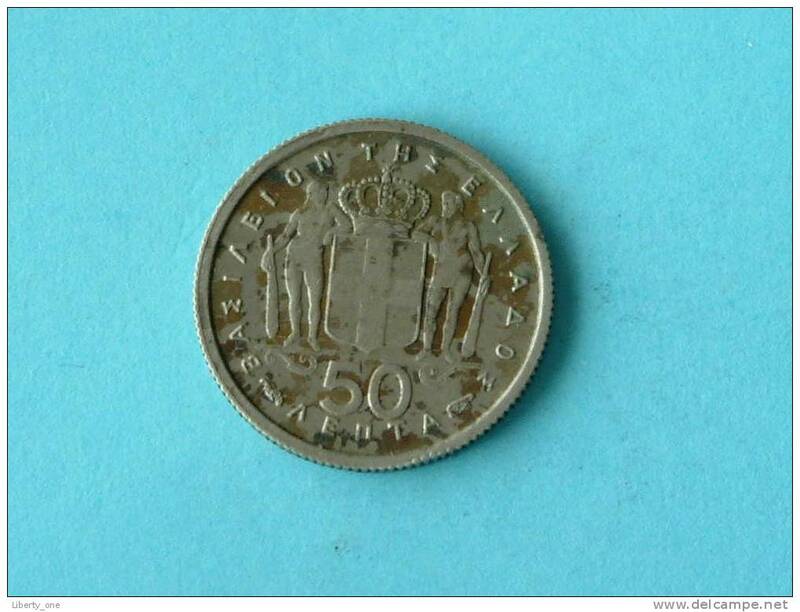 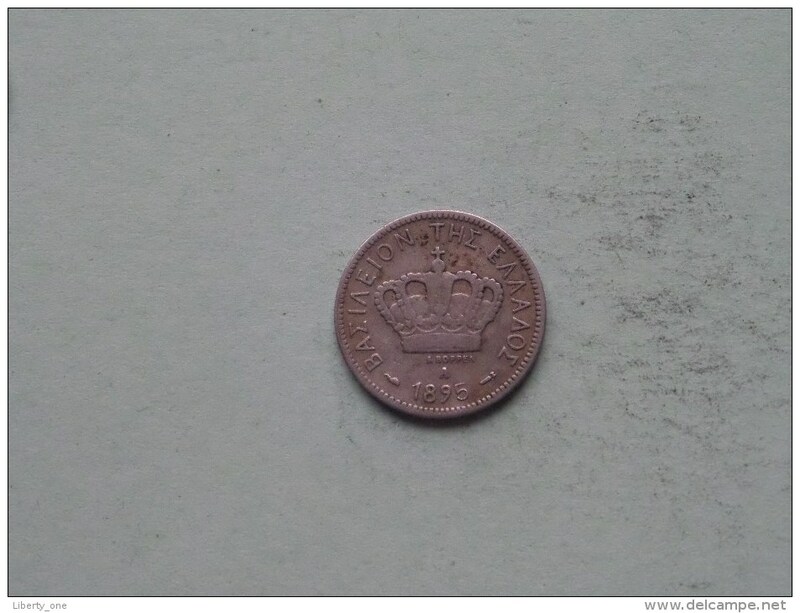 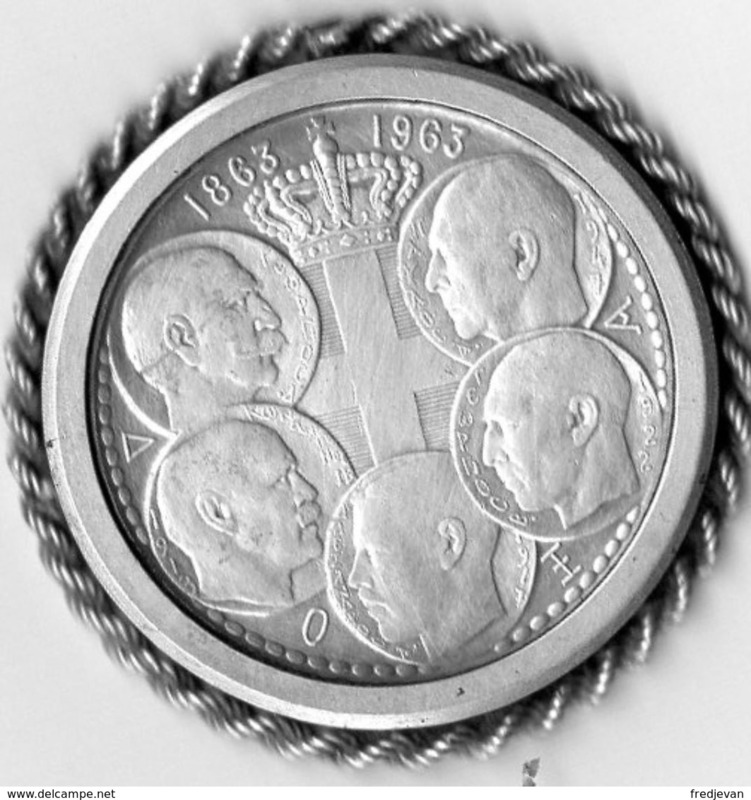 - Herdenkingsmunt 1863 / 1963 ? 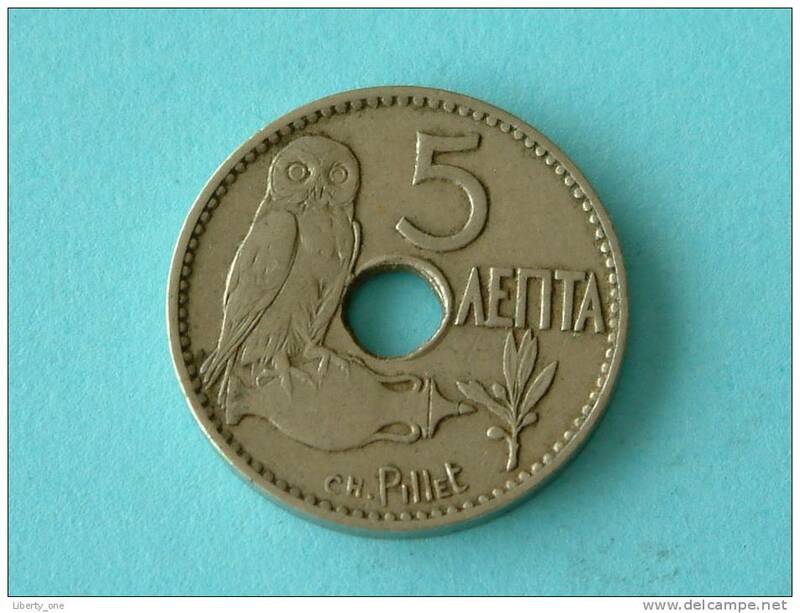 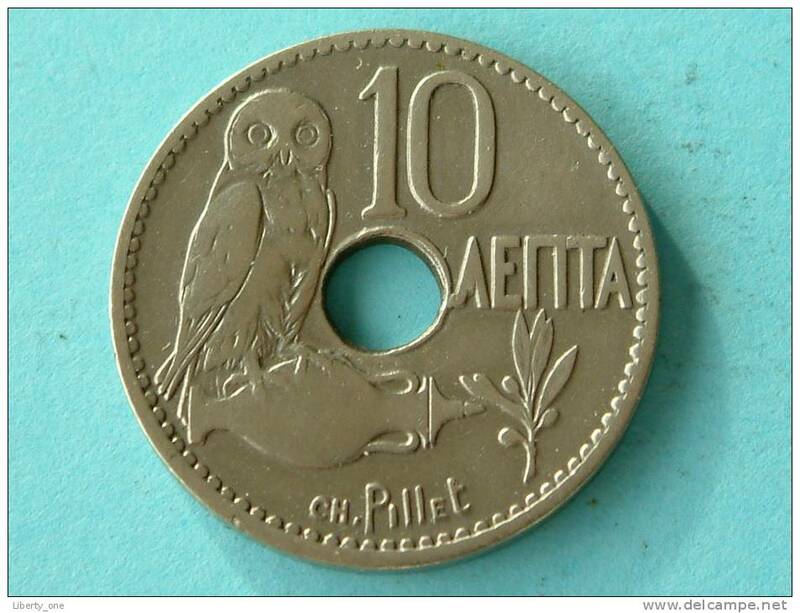 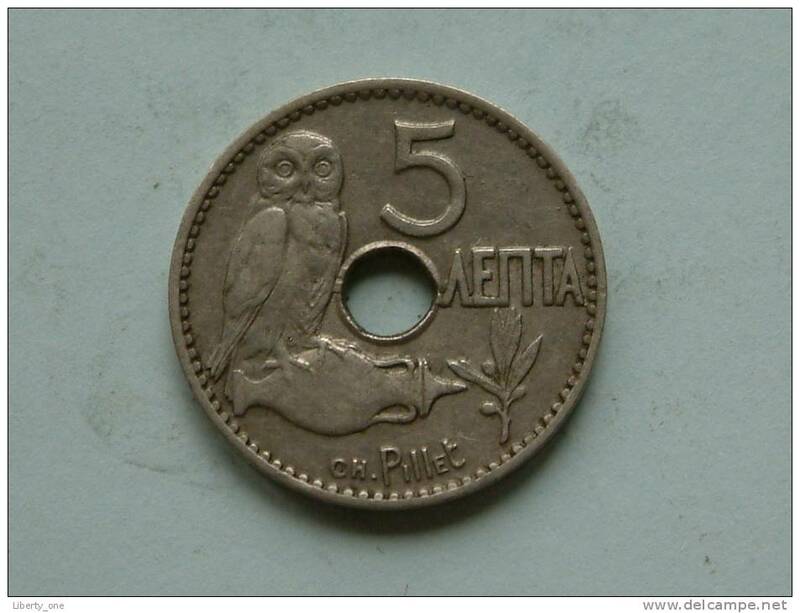 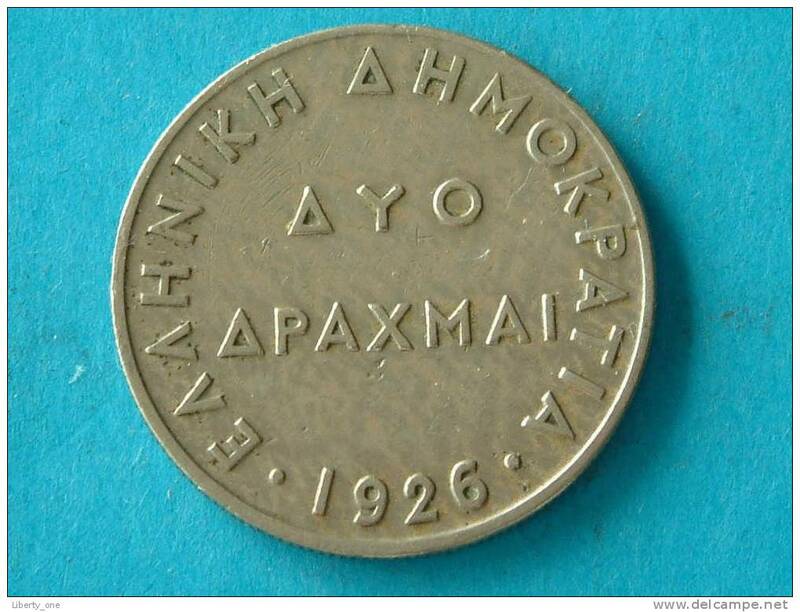 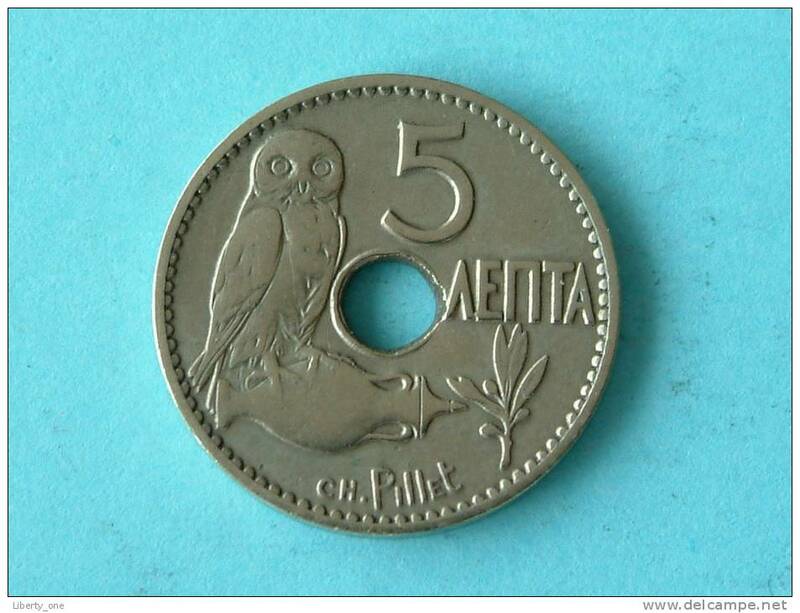 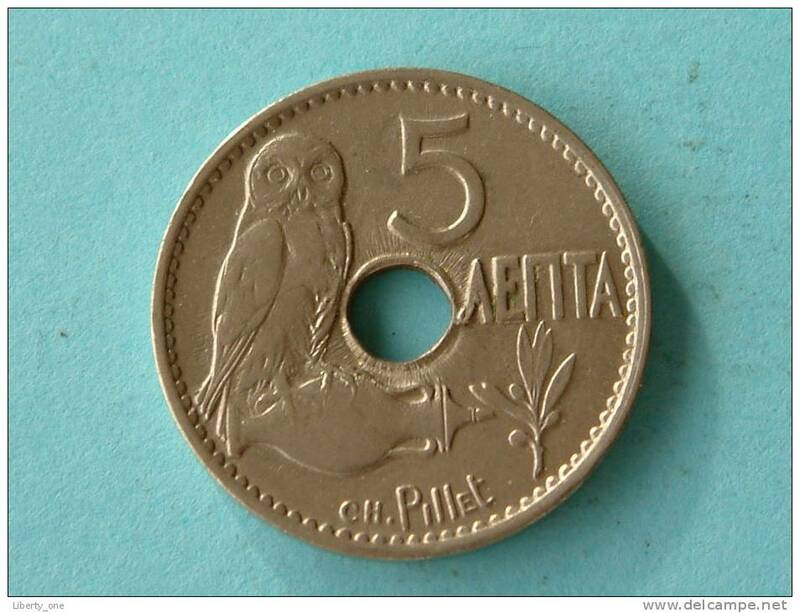 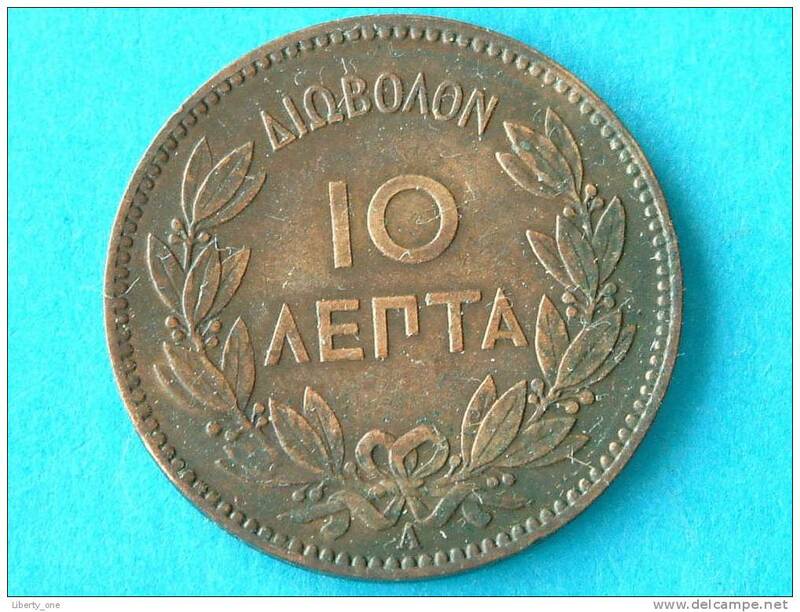 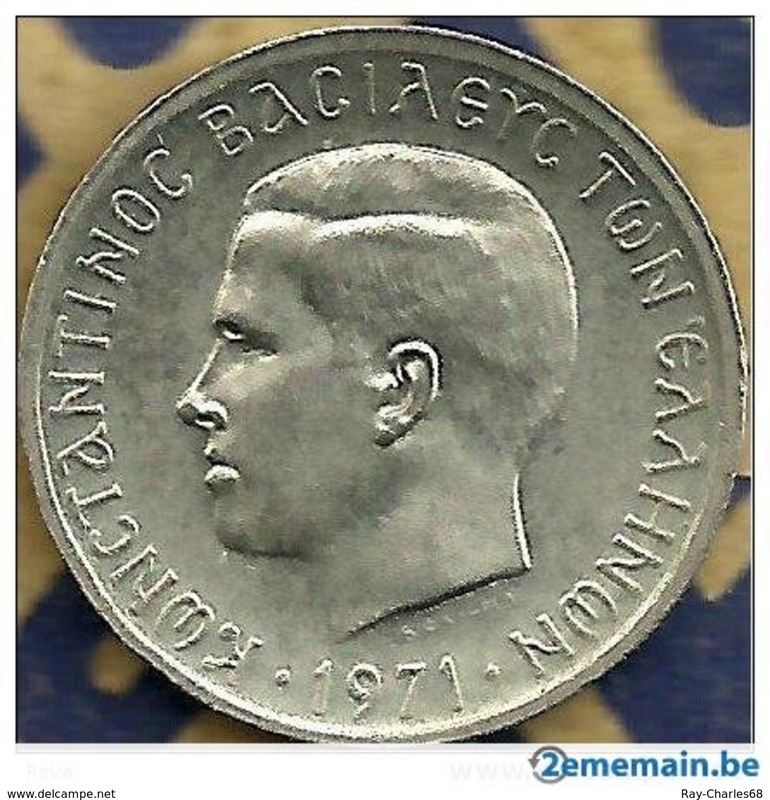 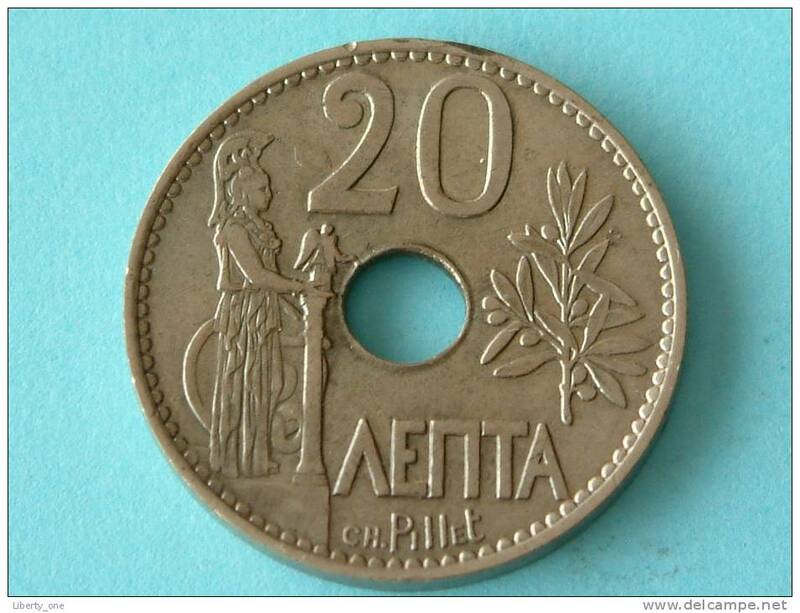 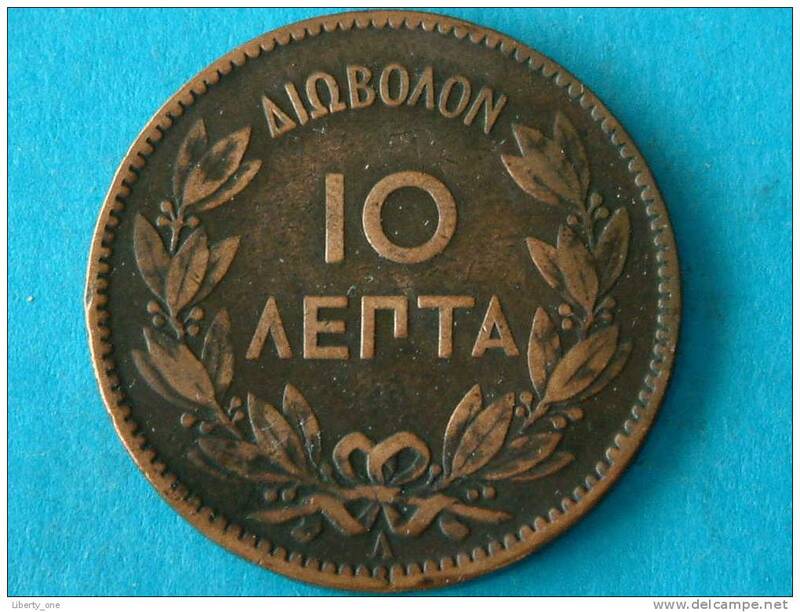 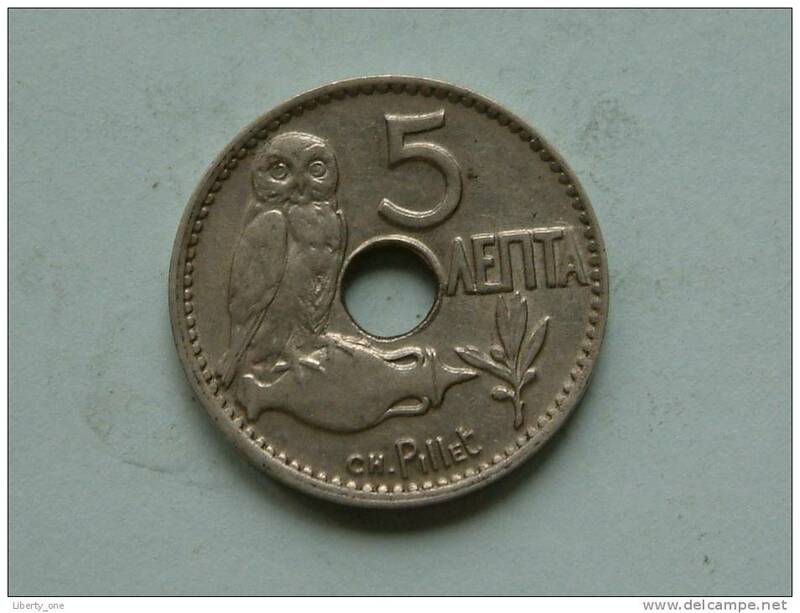 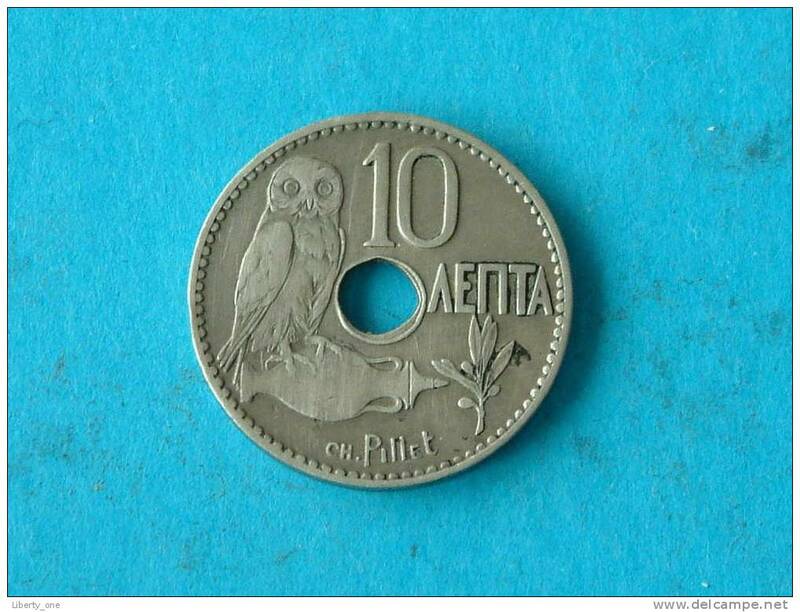 Grèce 5 drachmes 1976 Aristote. 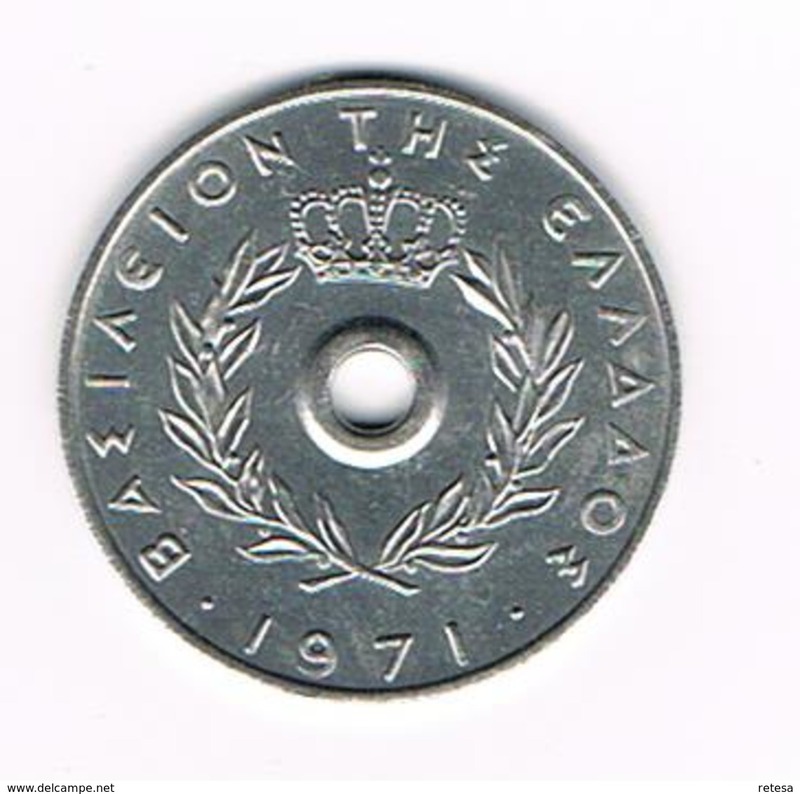 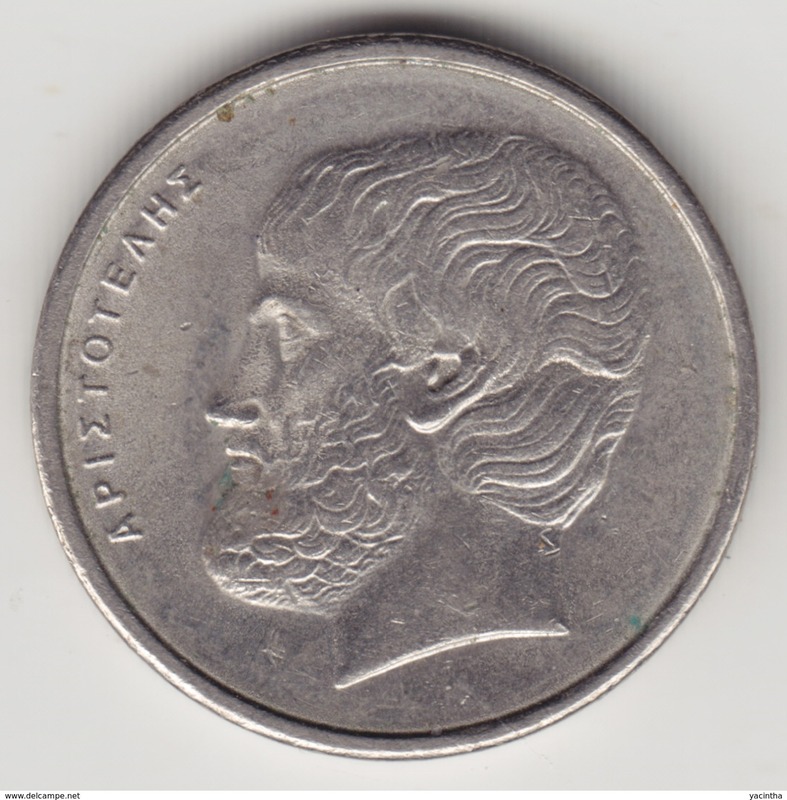 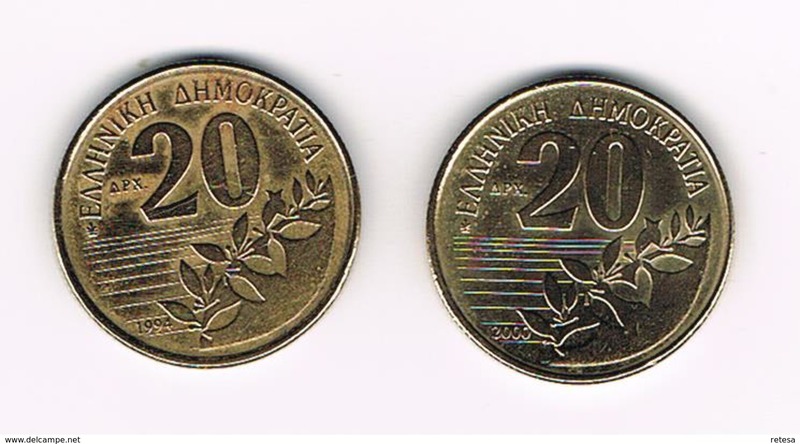 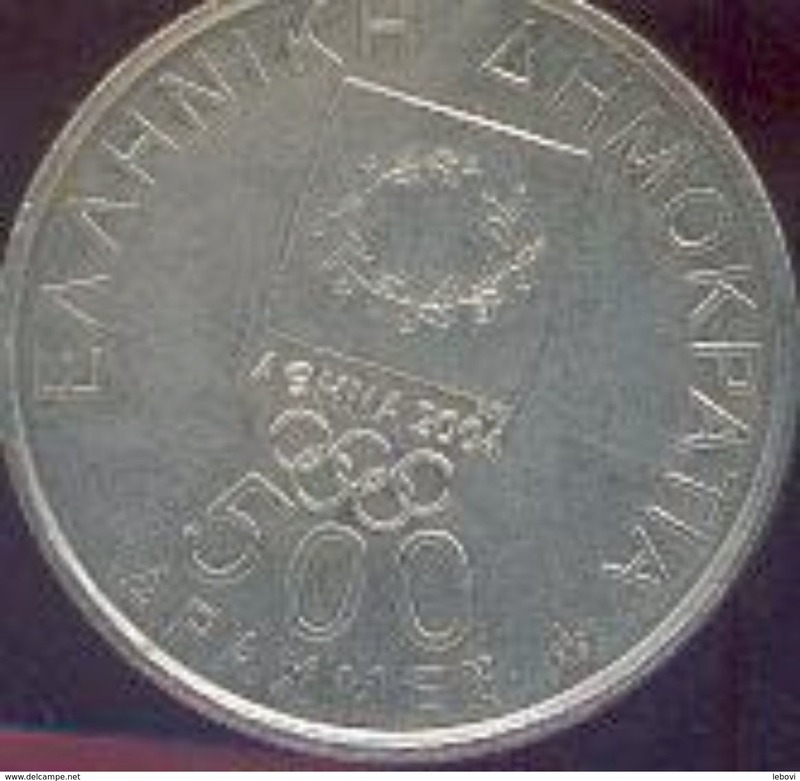 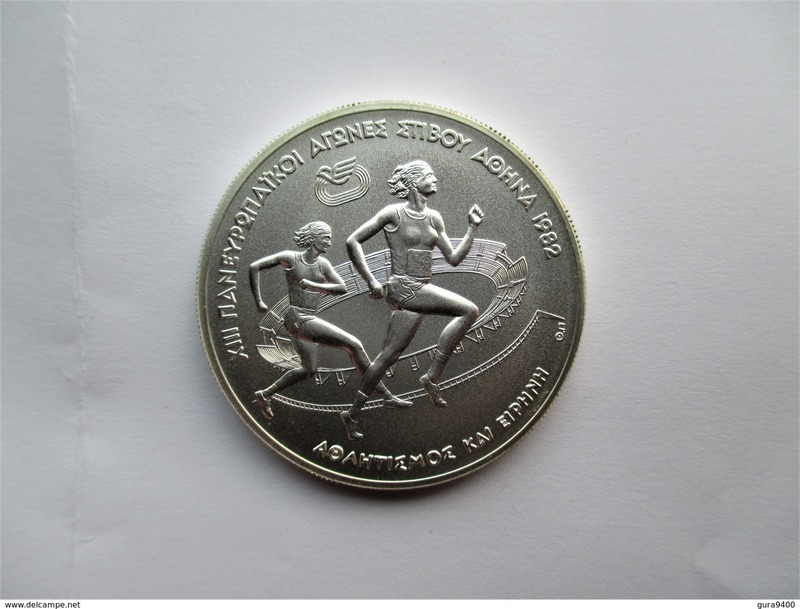 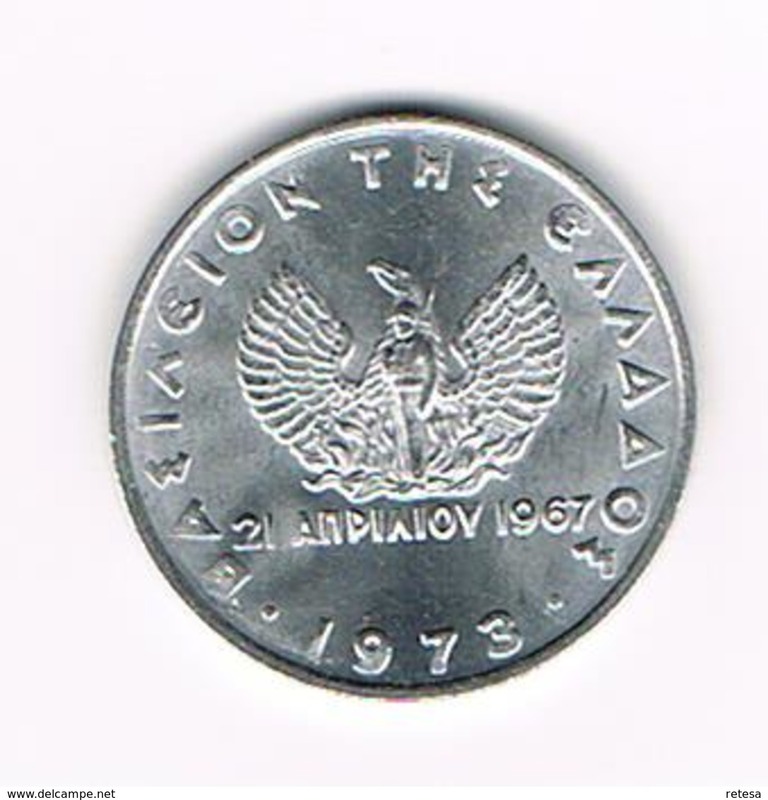 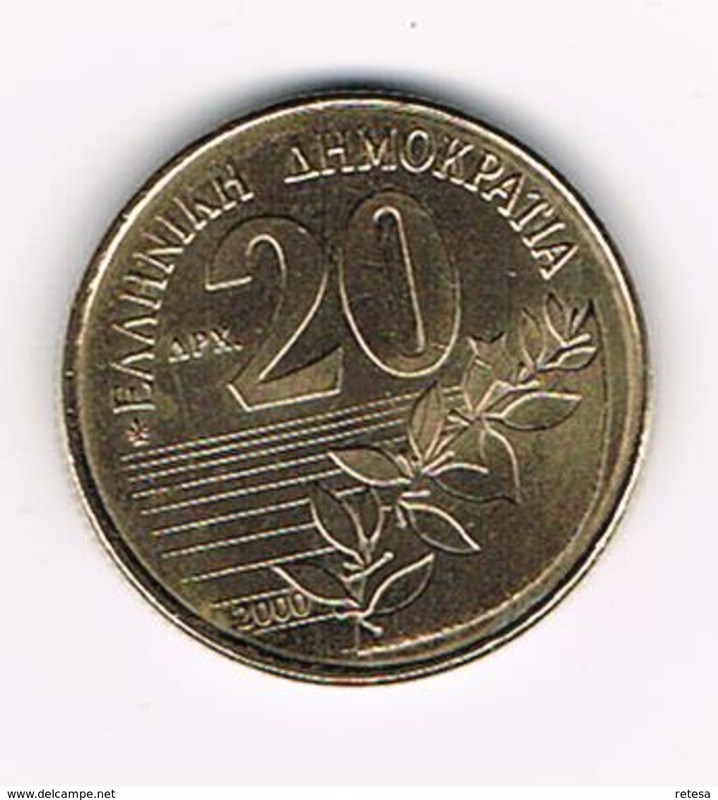 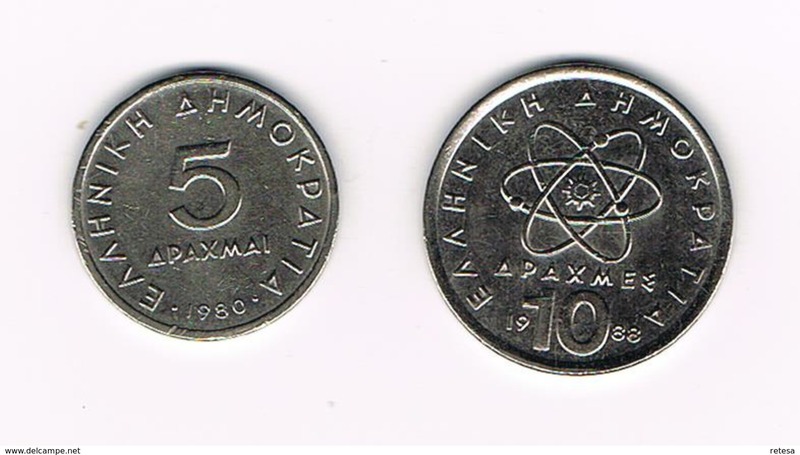 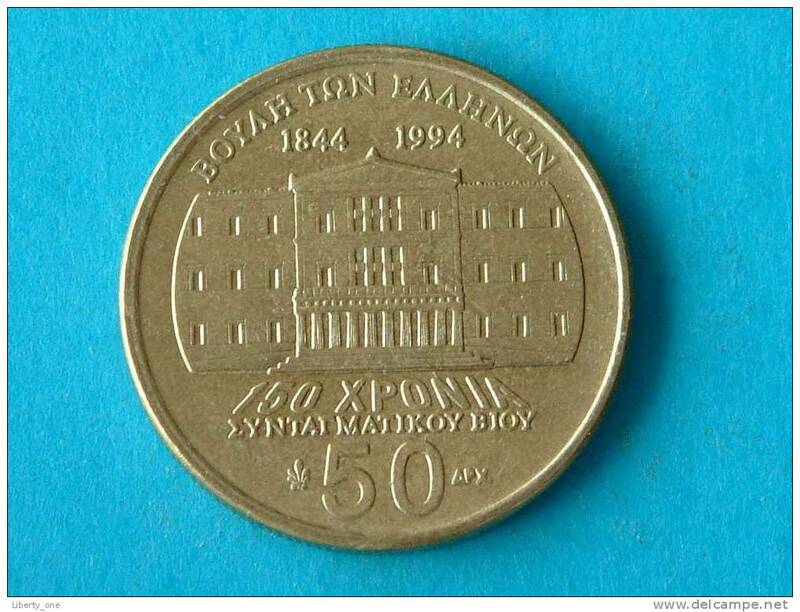 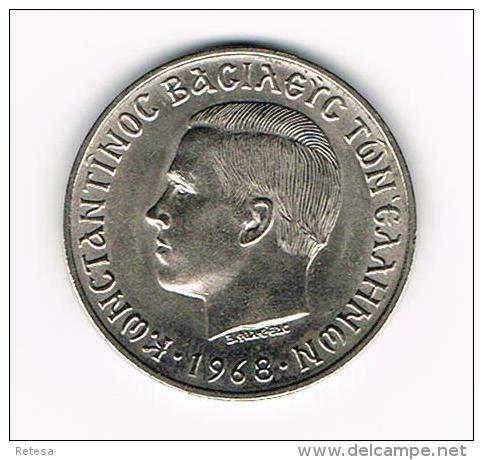 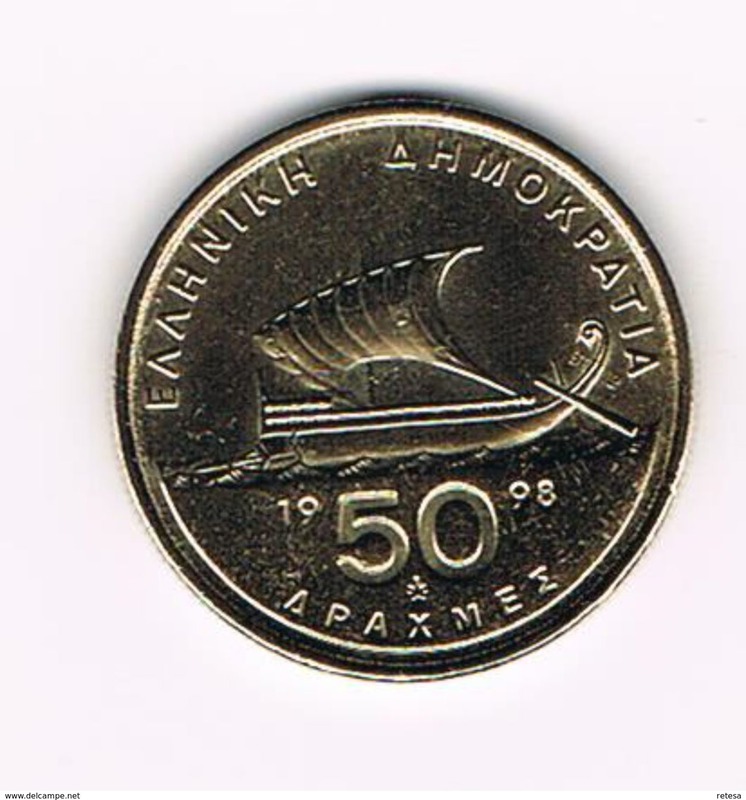 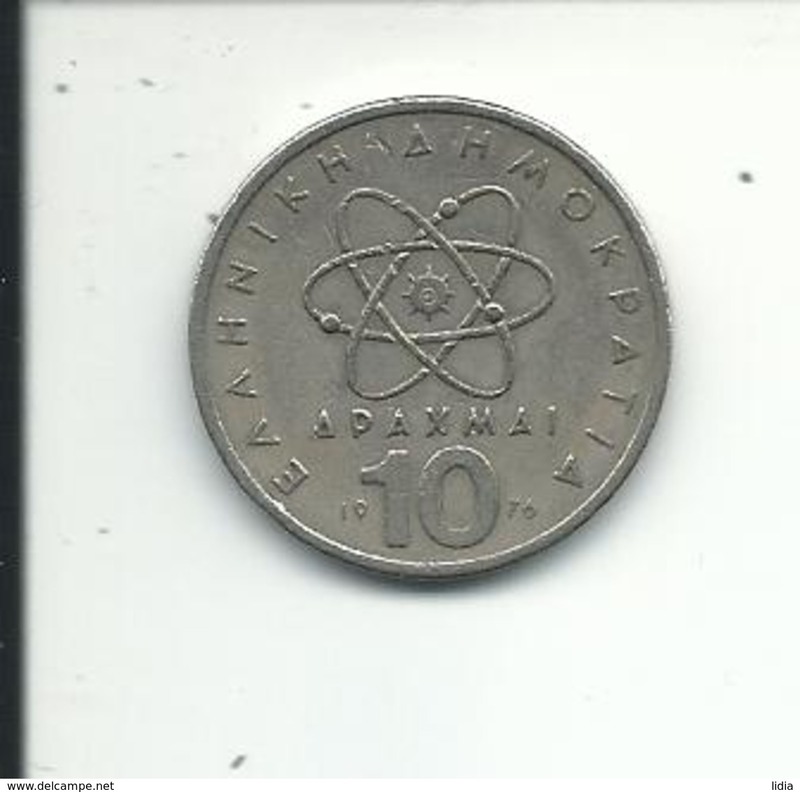 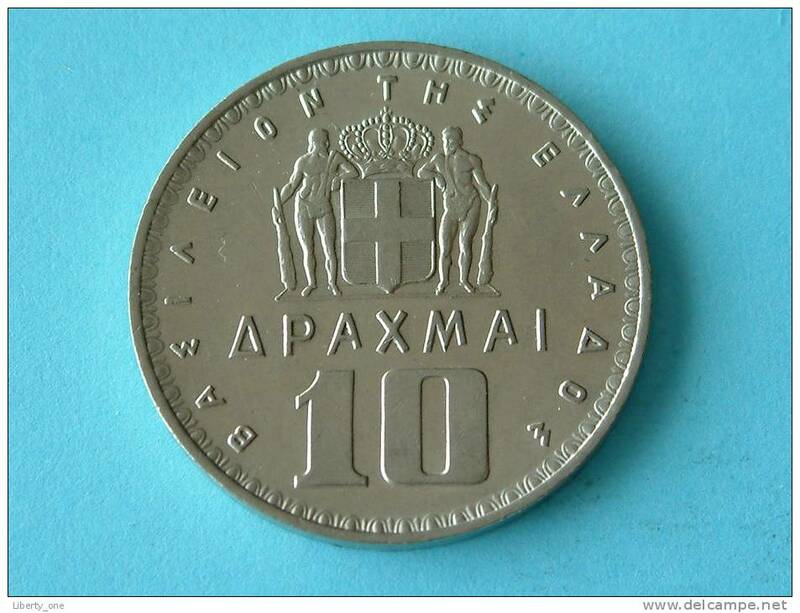 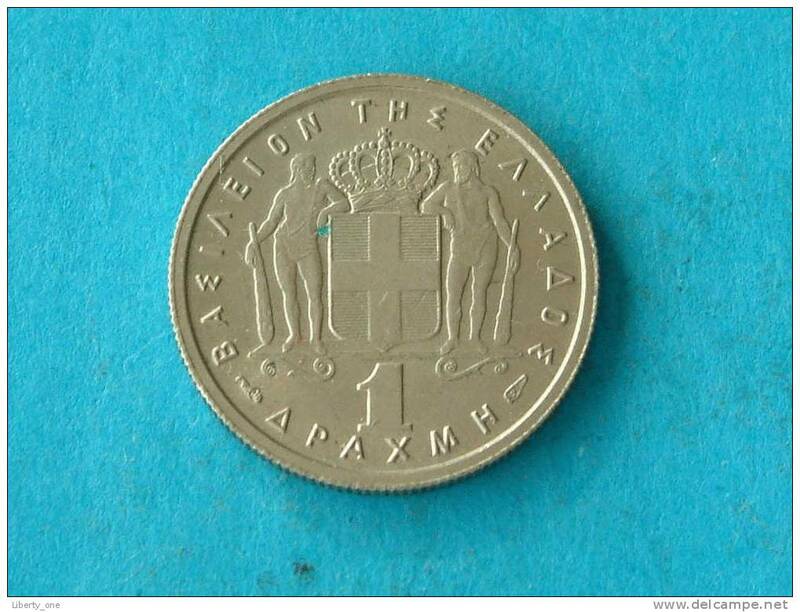 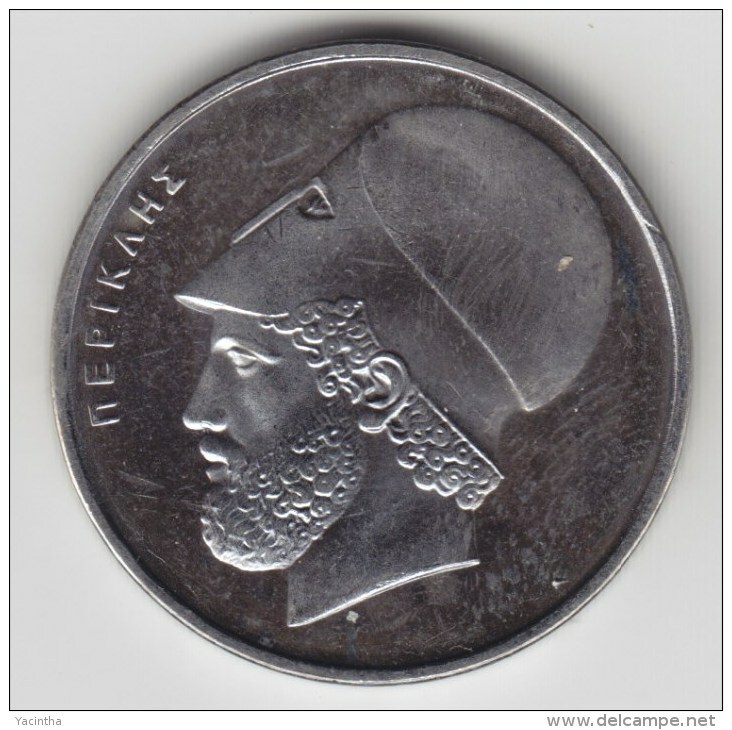 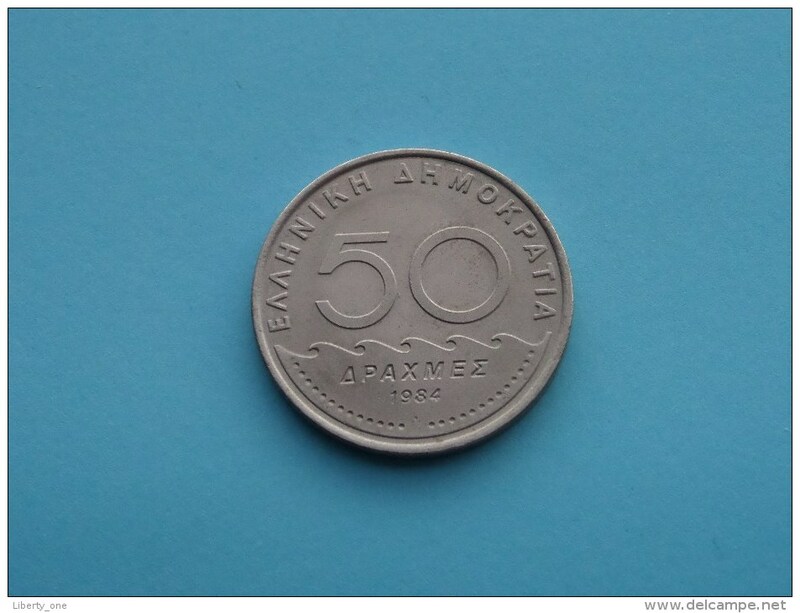 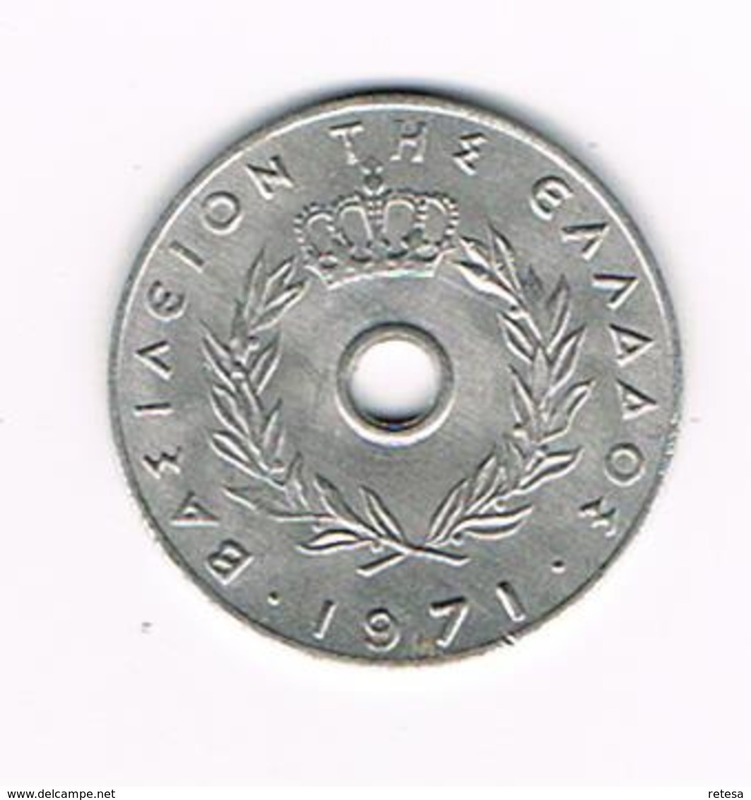 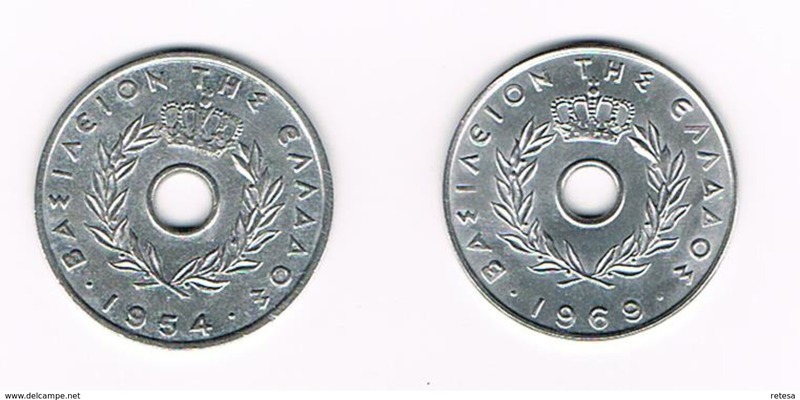 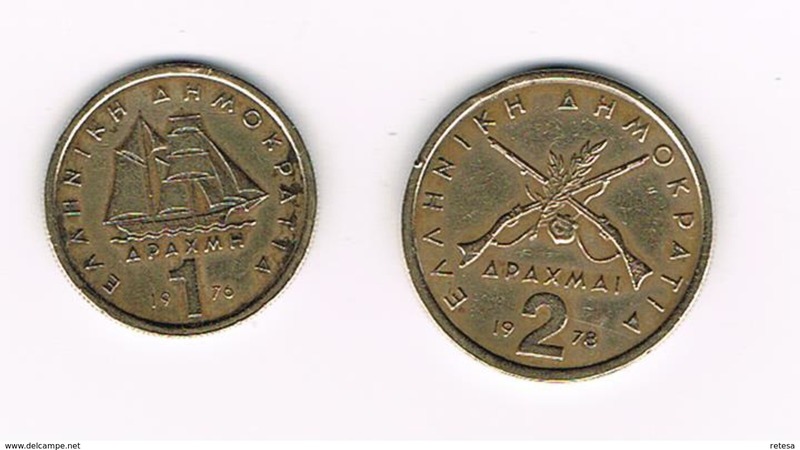 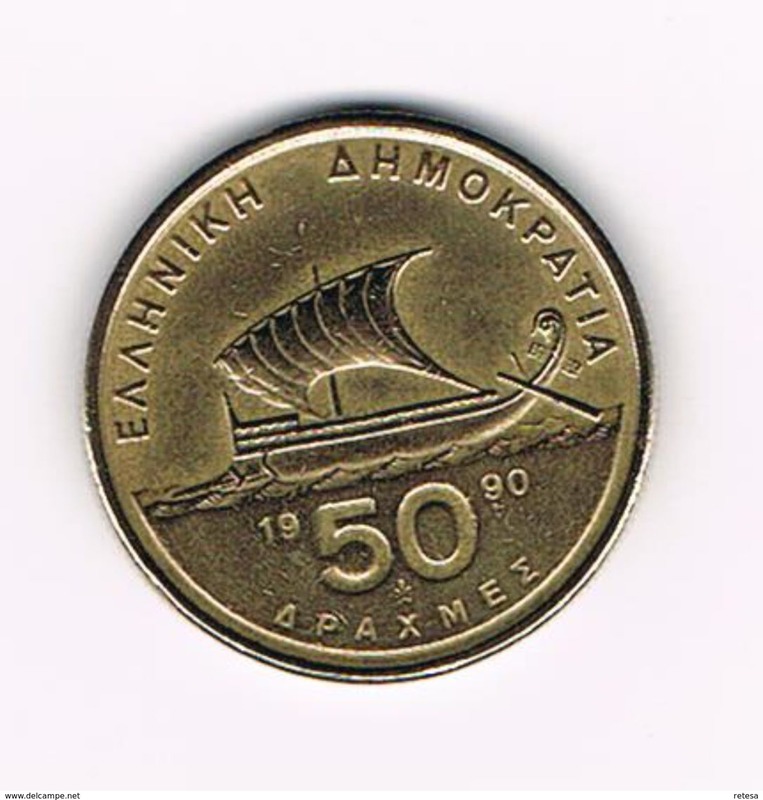 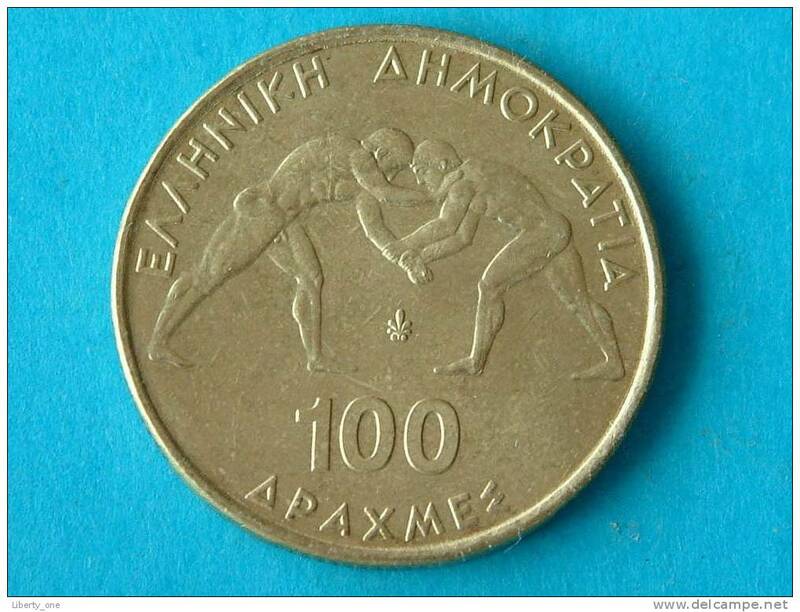 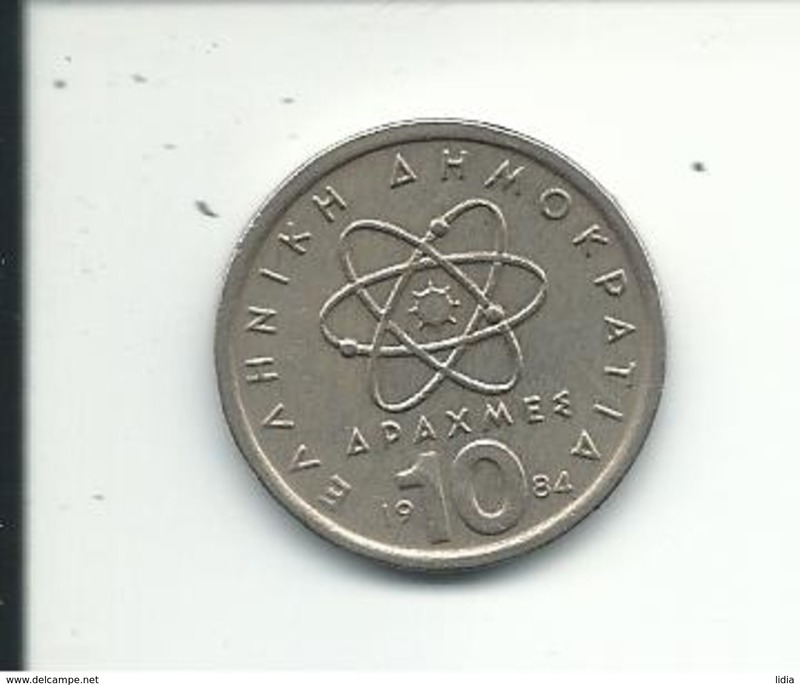 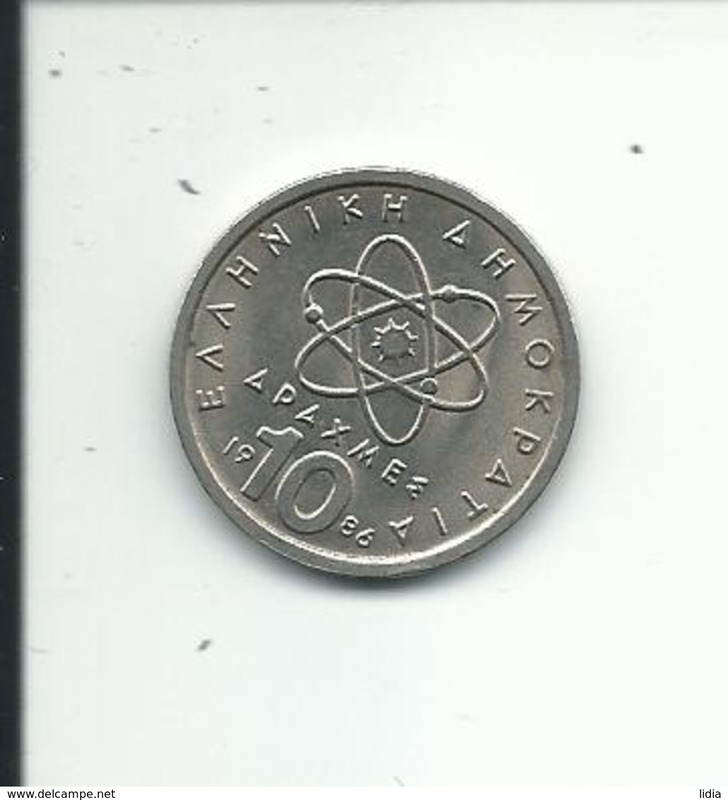 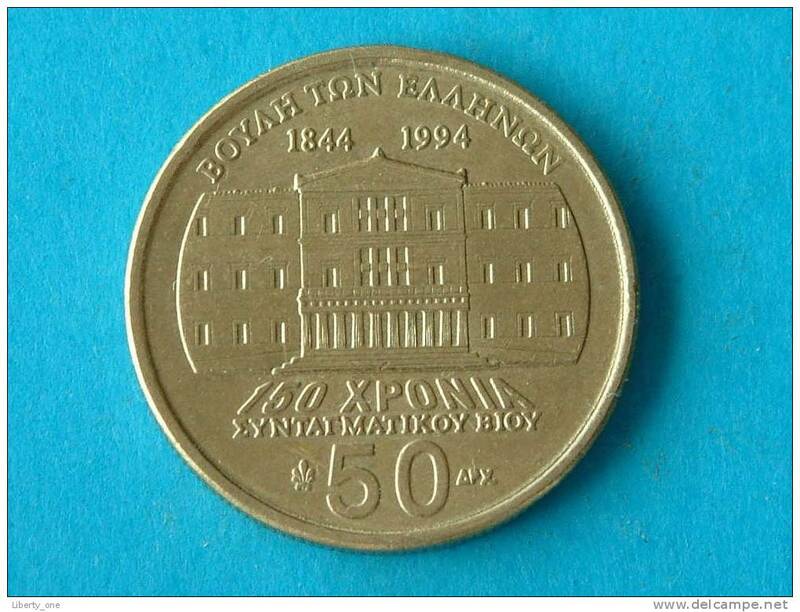 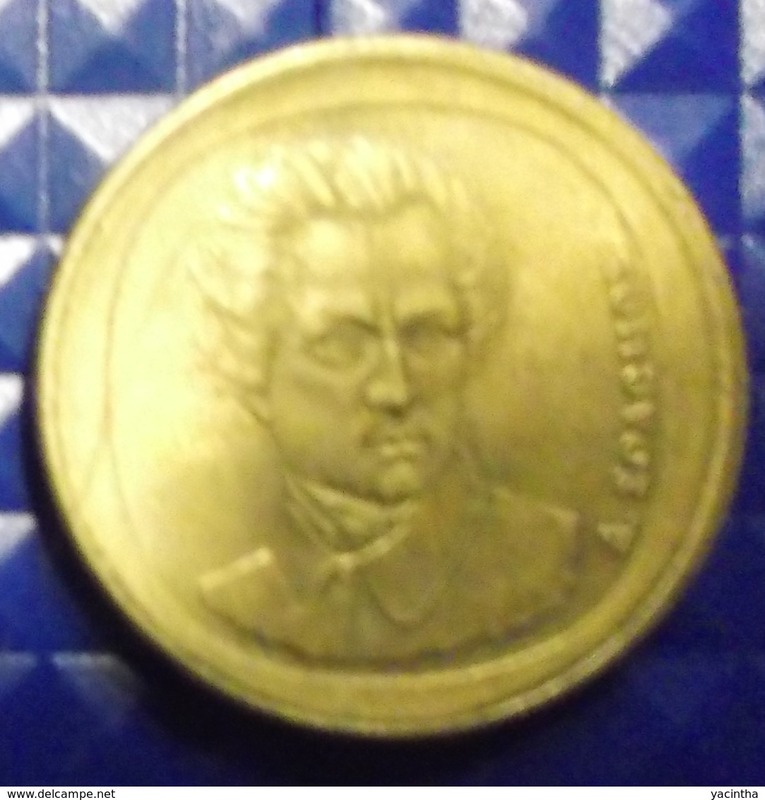 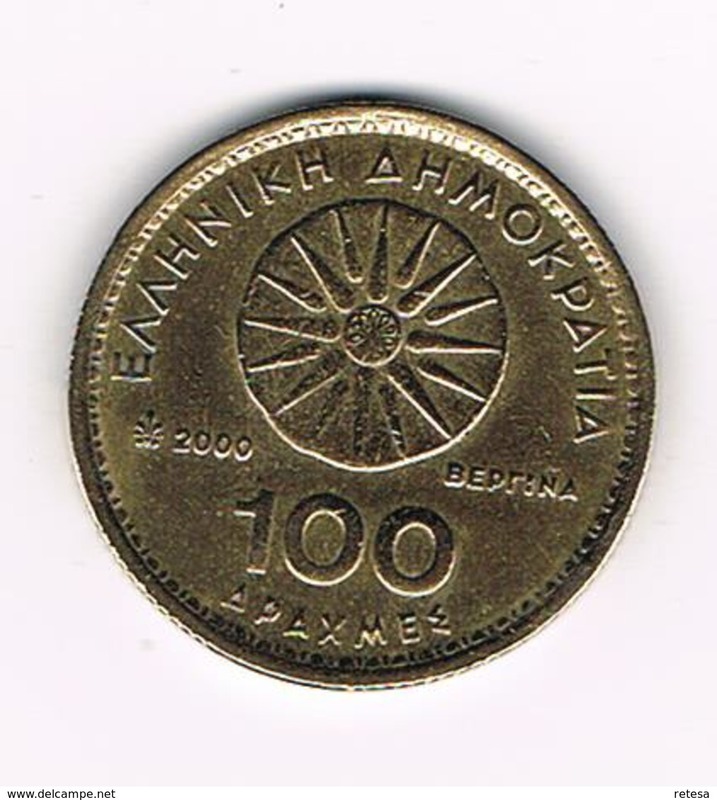 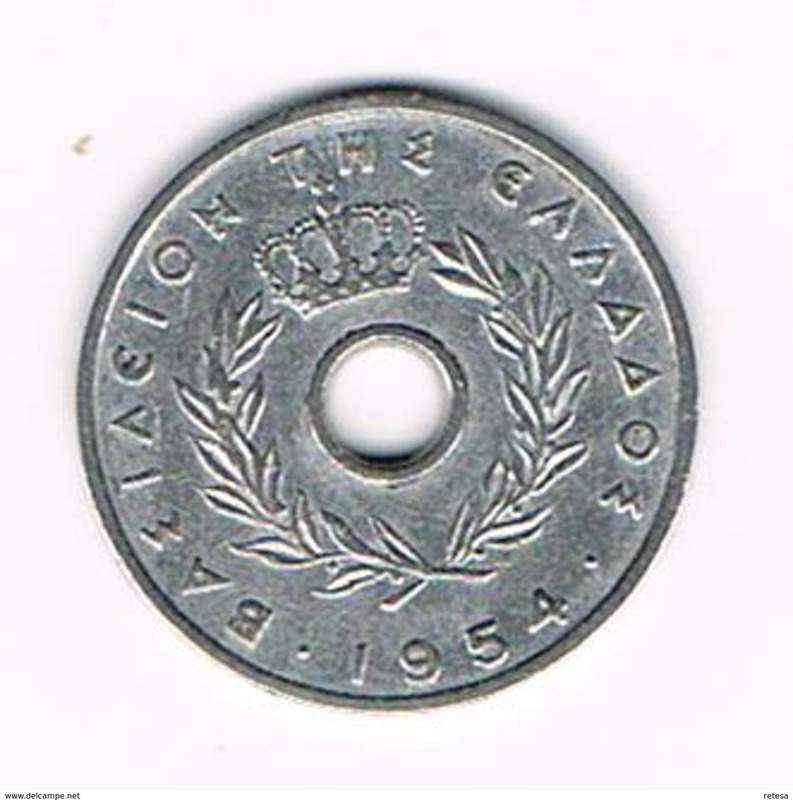 Greece, 500 drachmai, 1982 Pan- European Games.